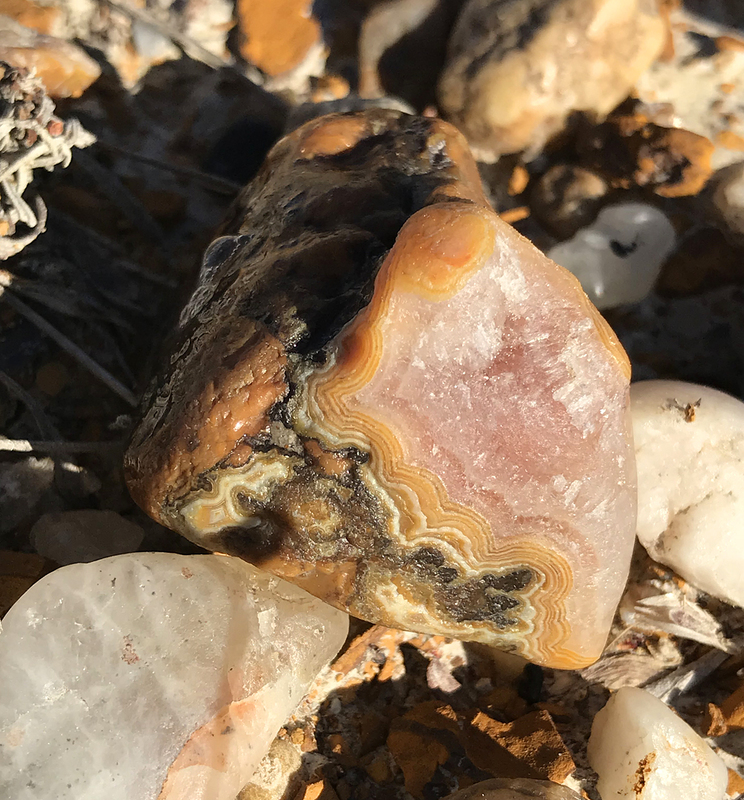 On Labor Day I again made the long trek to the Buffalo Gap National Grasslands of western South Dakota, a day to look for agates, fossils, petrified wood, and other goodies. 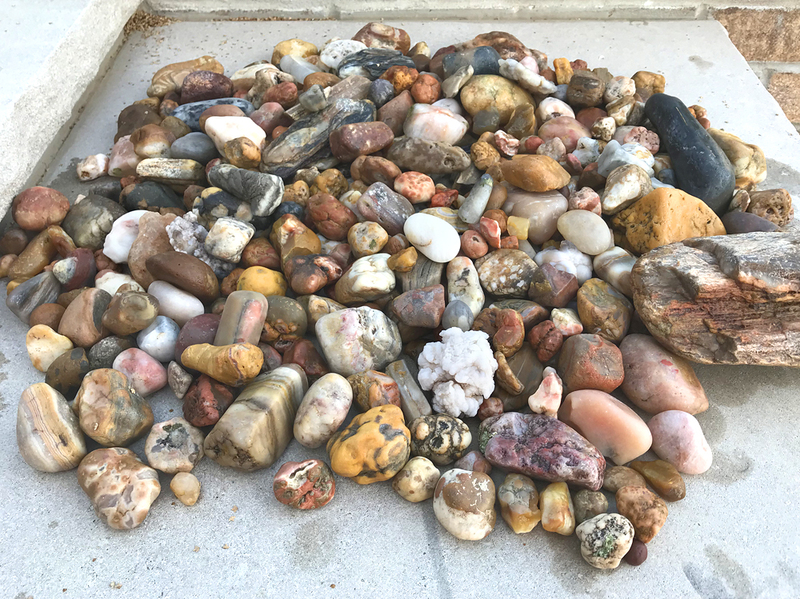 For the first time since we discovered rockhounding this summer, there were actually a number of other people out searching. 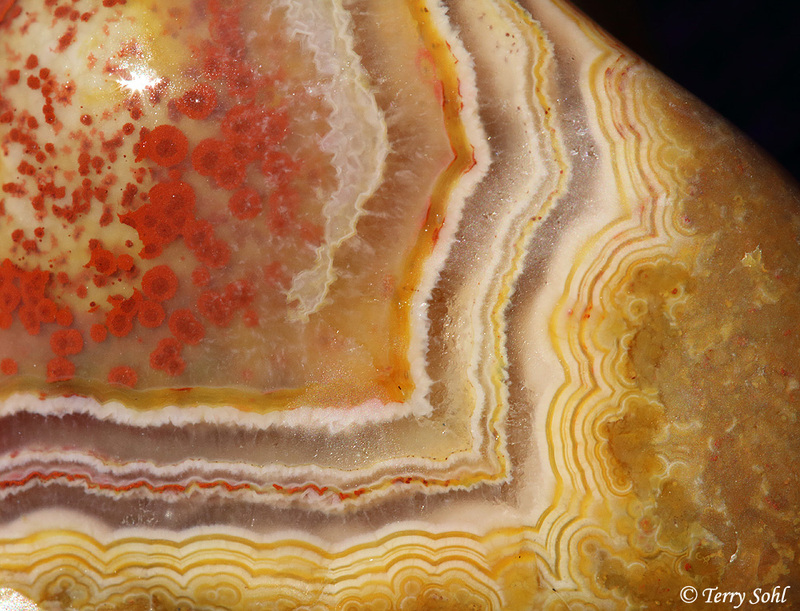 You can see how the known agate hunting locations would get picked over. 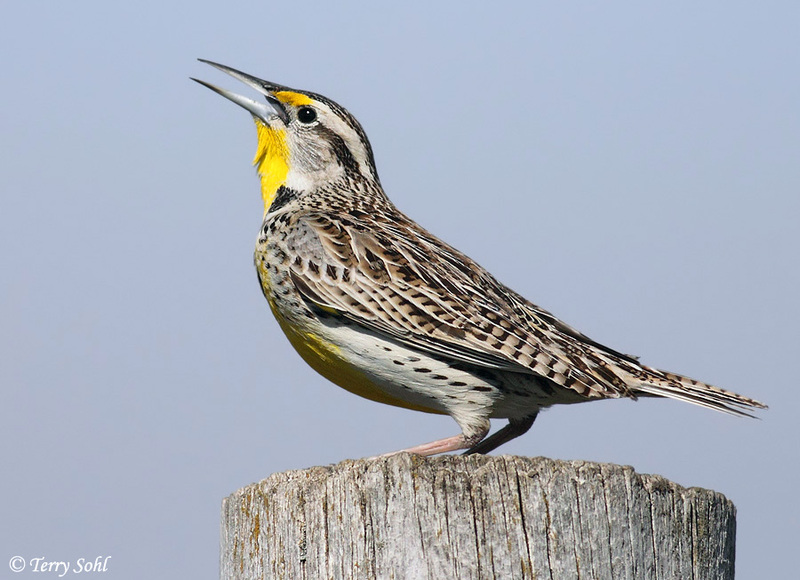 However, it’s quite similar to a visit to a busy national park like Yellowstone or Yosemite…just get away from the road a bit and you’re likely to have it all to yourself. 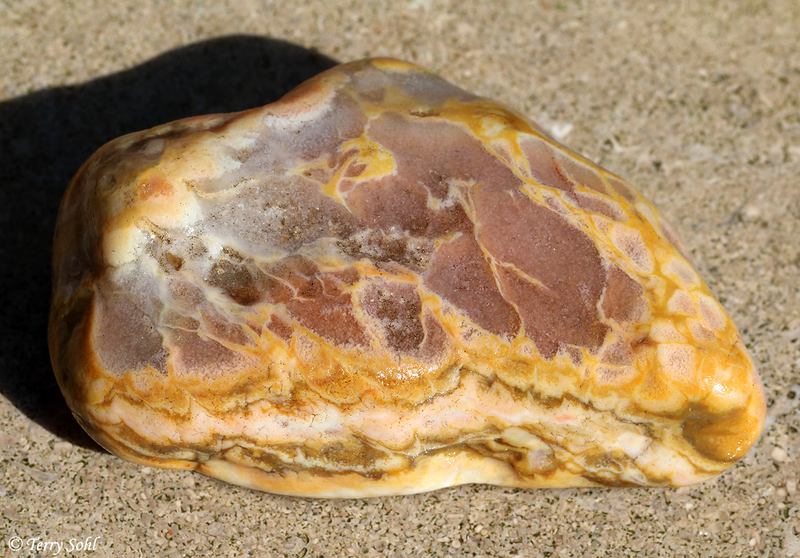 Despite several other searchers, I was able to find solitude just by hiking back away from the gravel roads in the area. 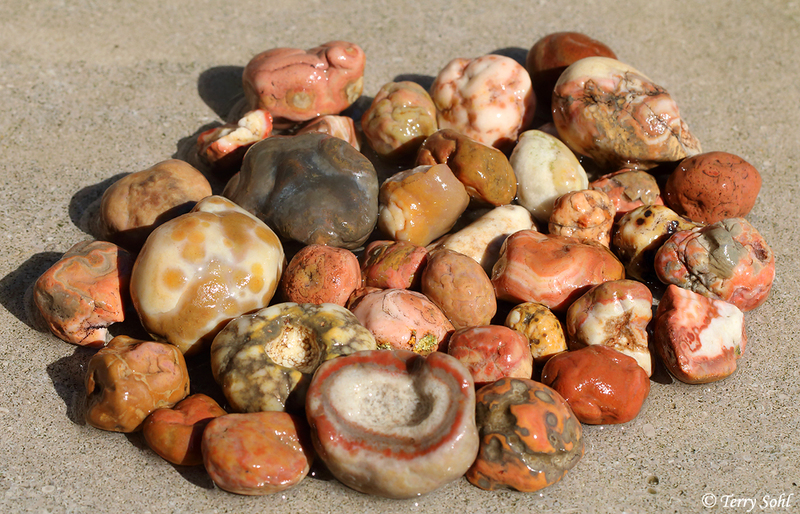 There’s no doubt there are more and better finds as you get away from the roads and places people park. 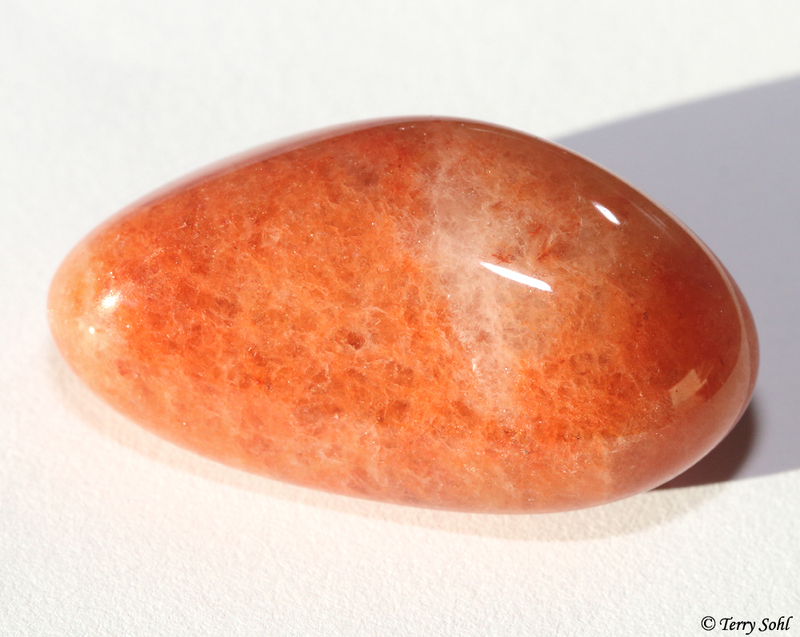 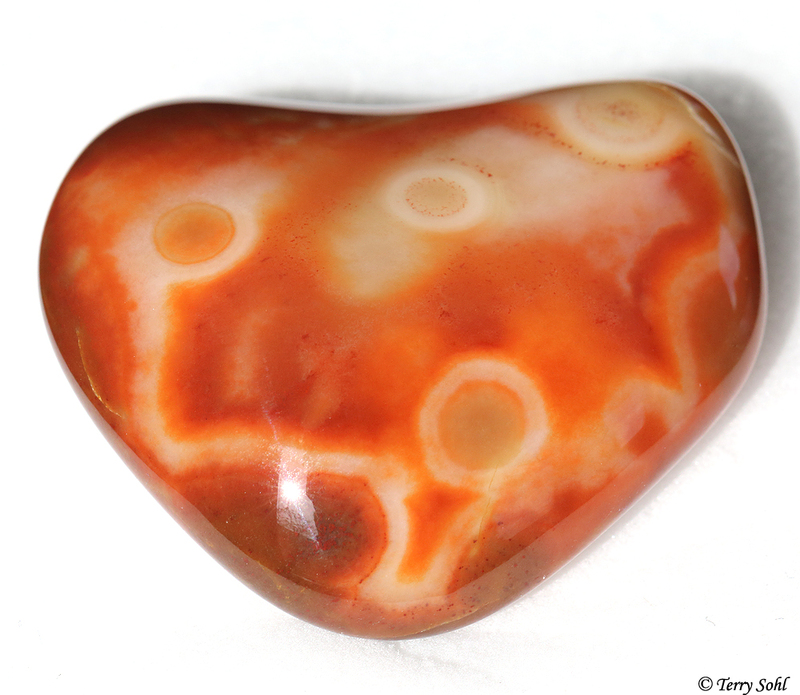 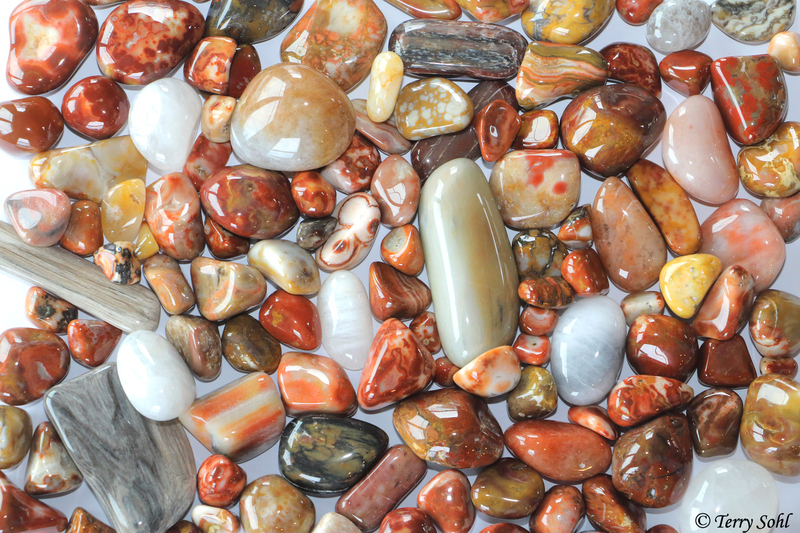 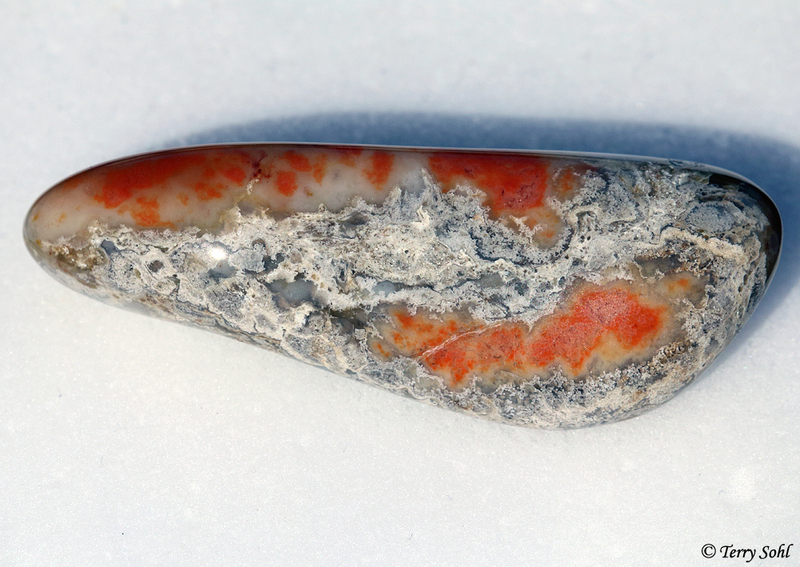 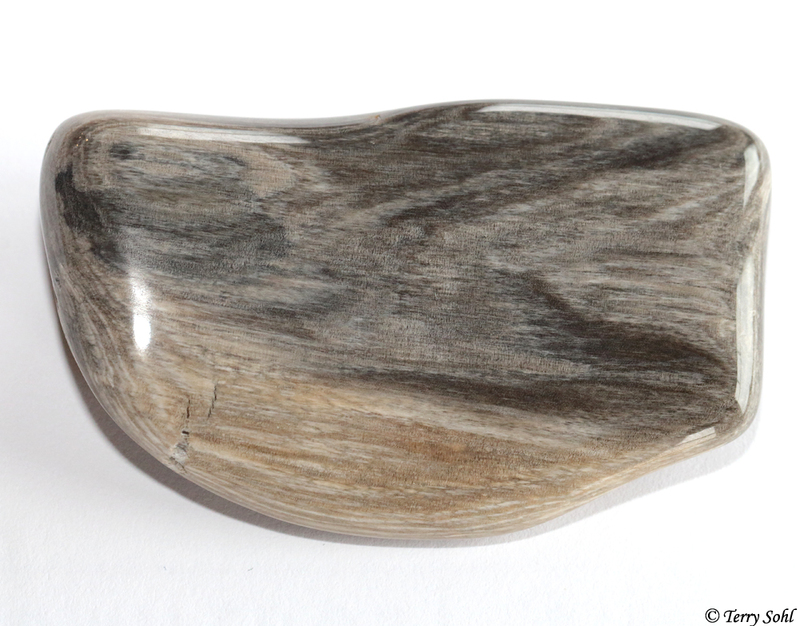 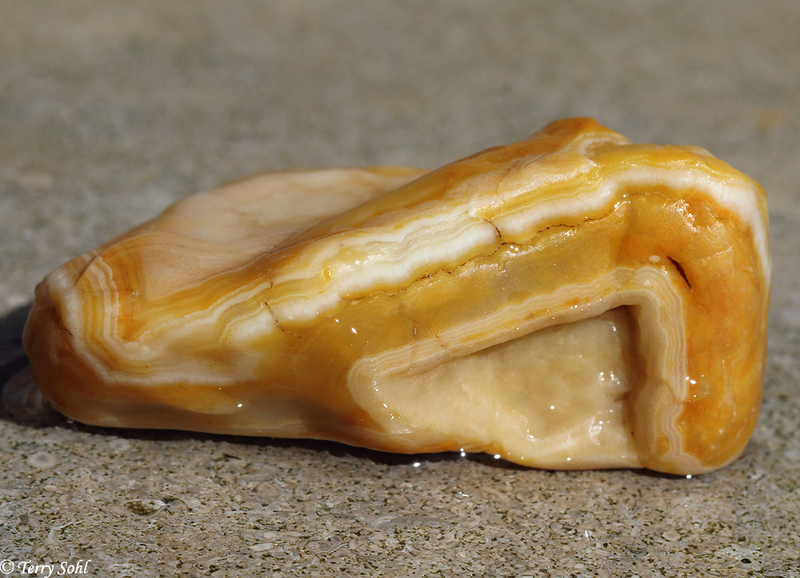 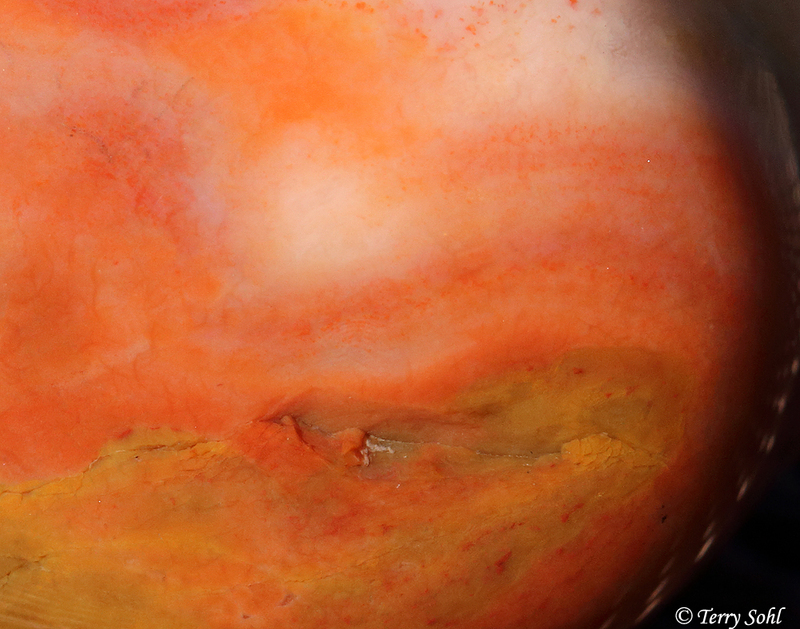 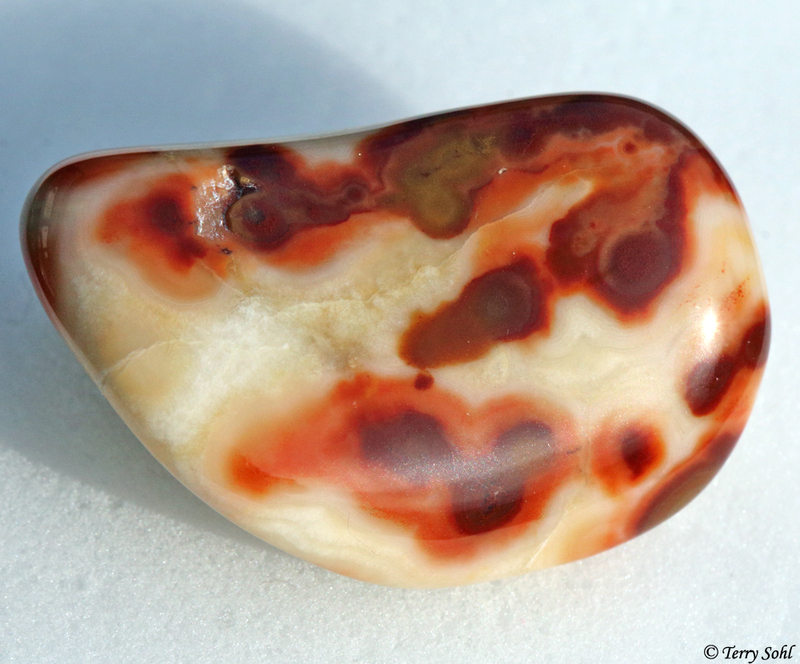 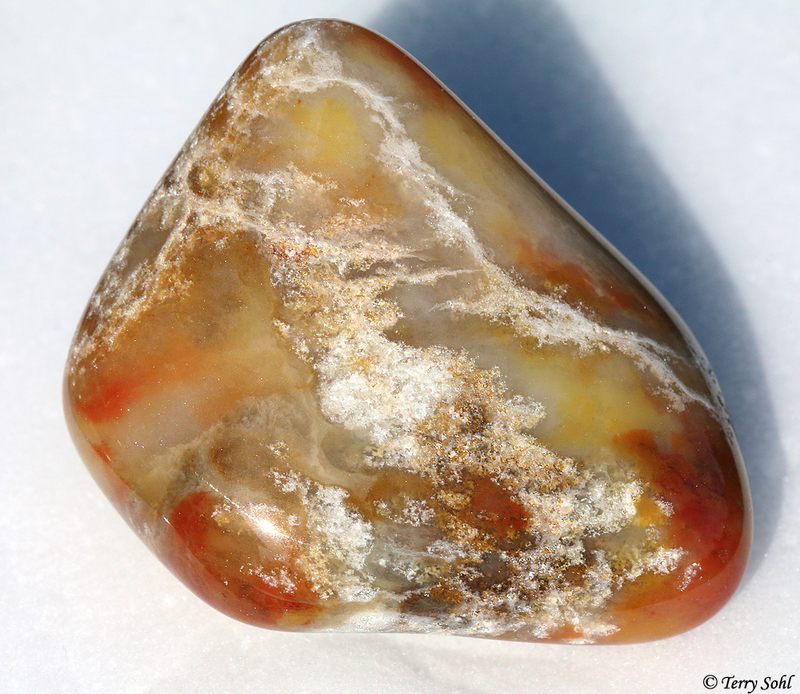 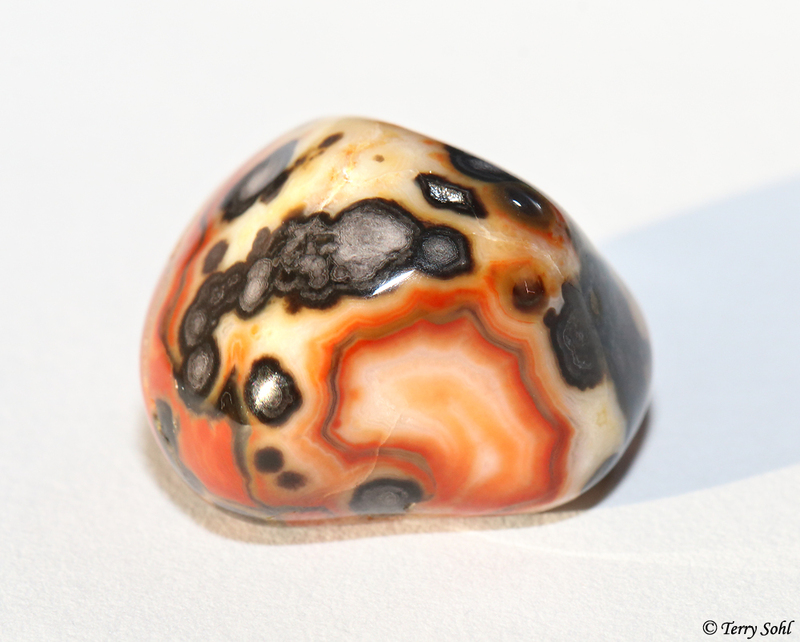 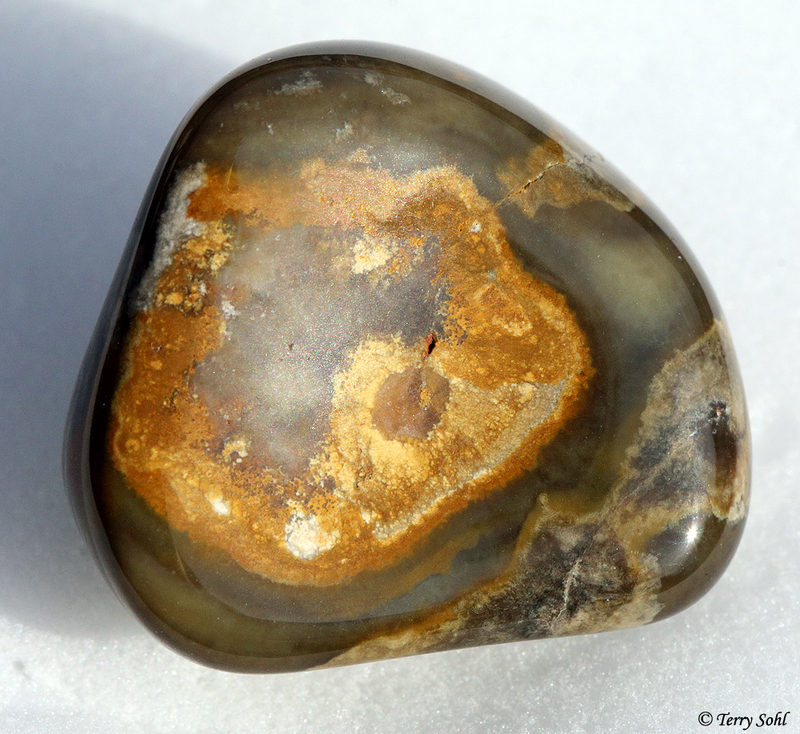 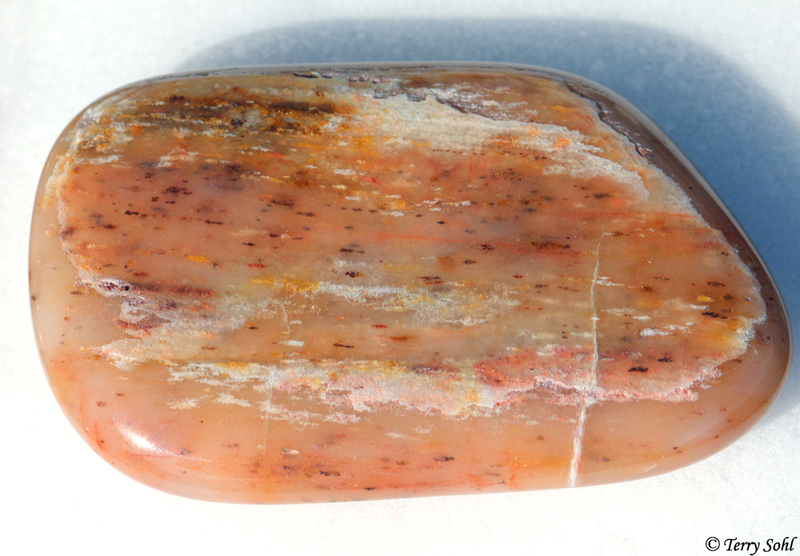 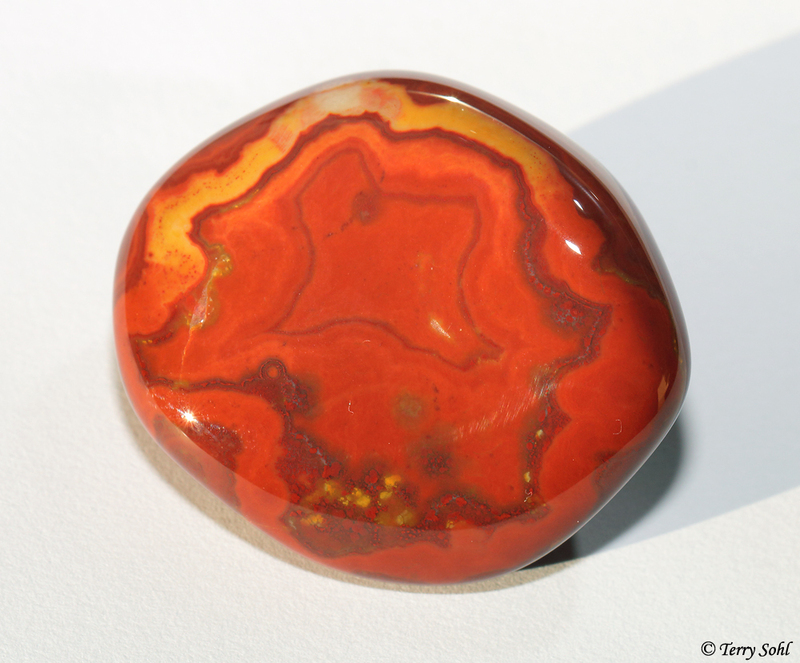 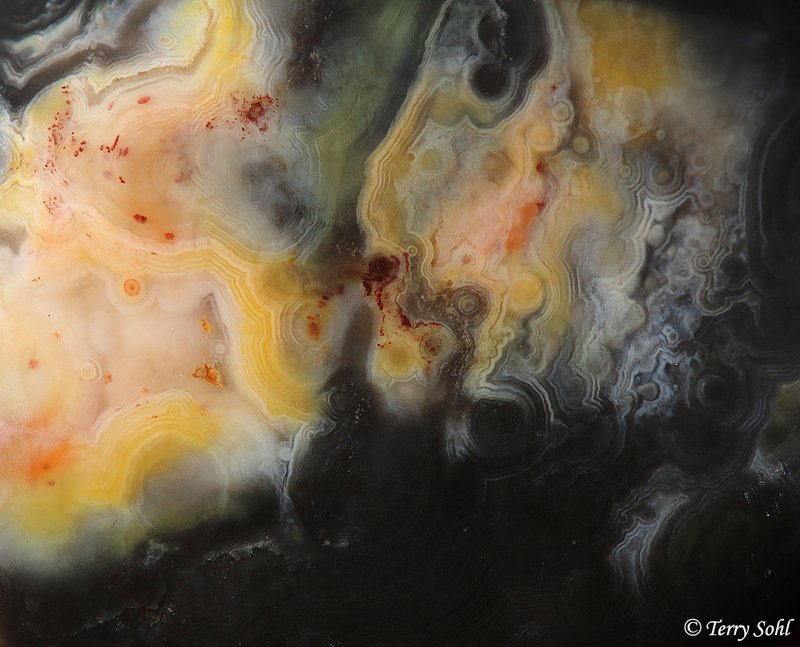 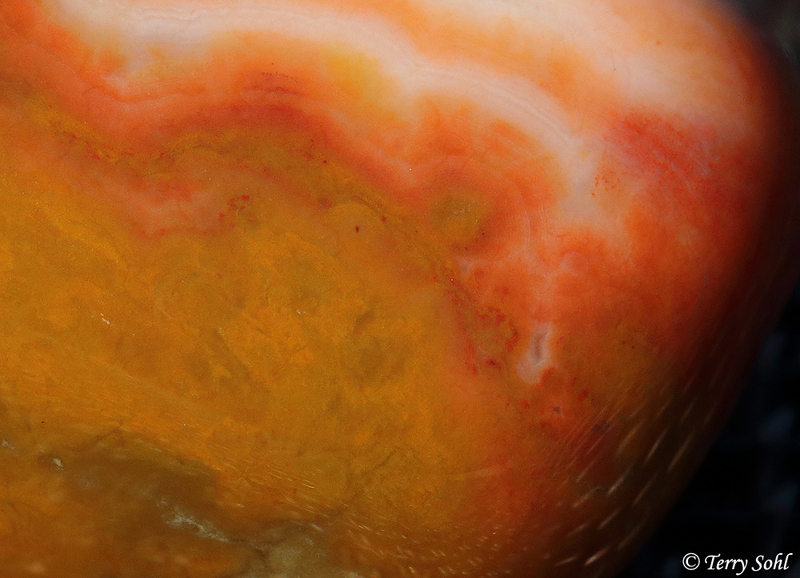 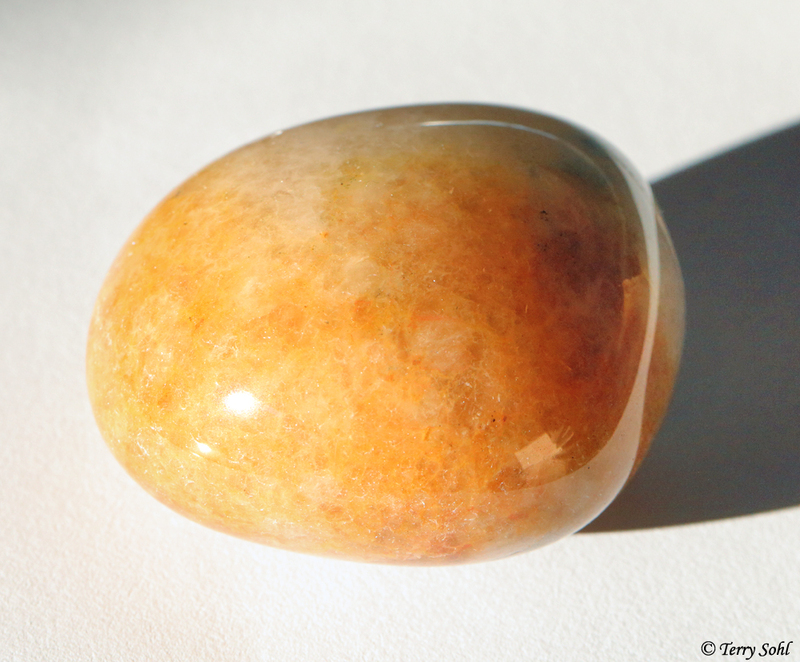 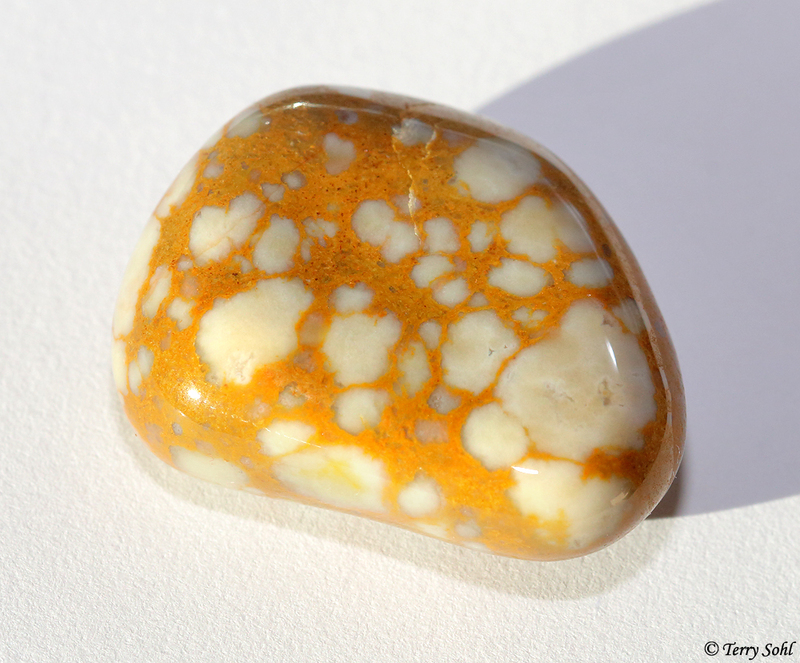 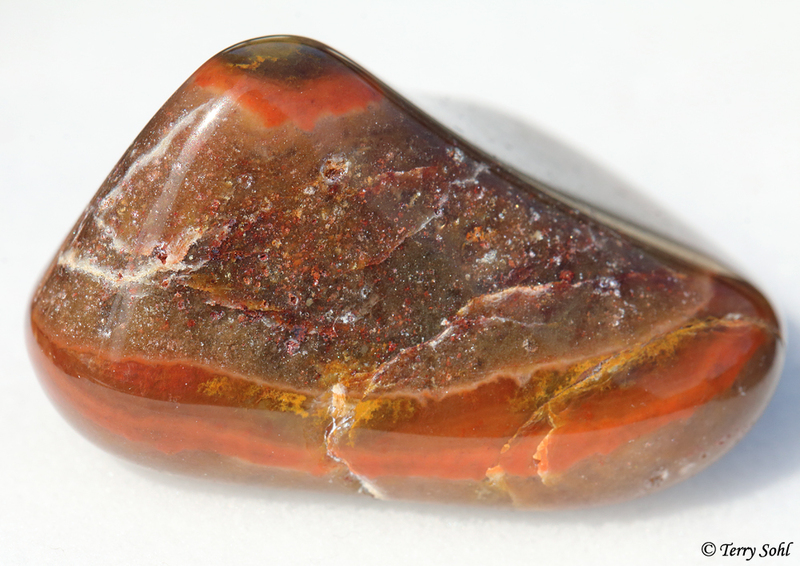 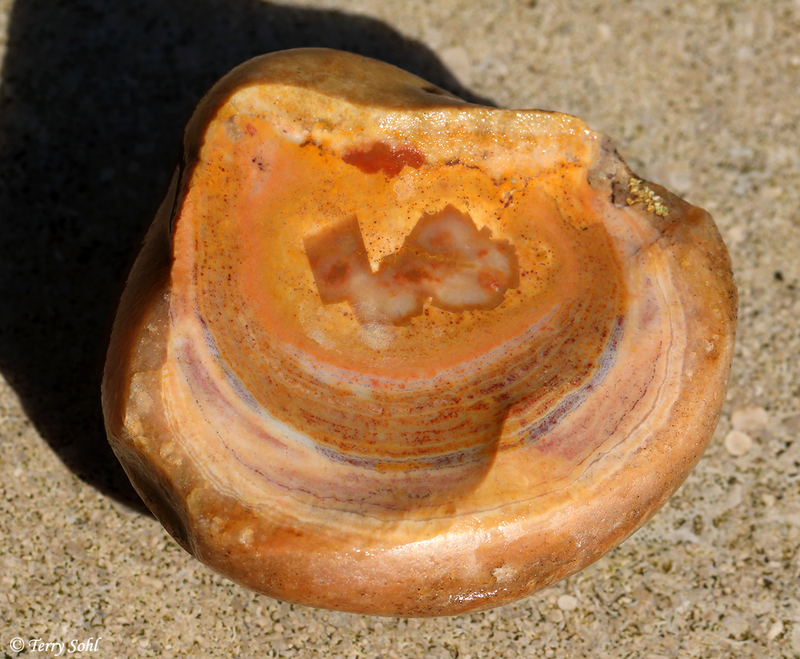 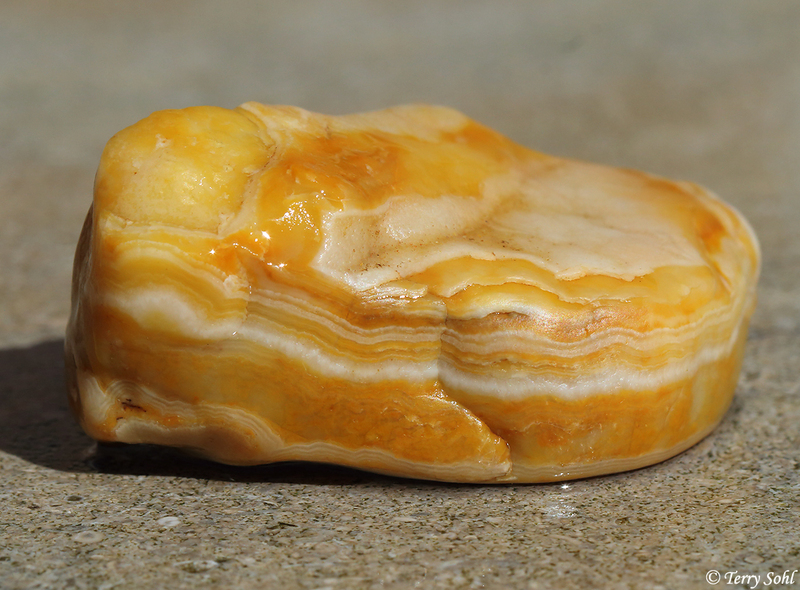 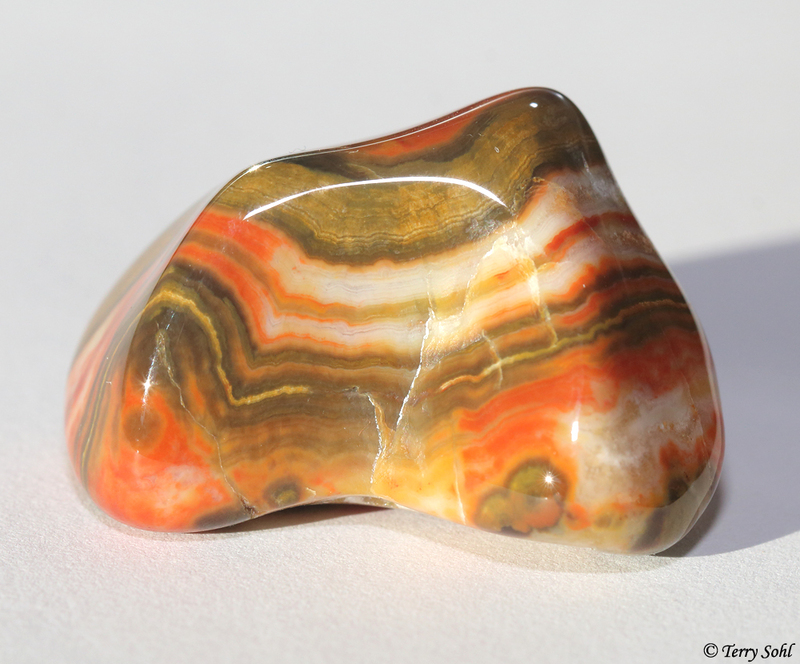 An interesting day, marked by a heavy haze all day from western US forest fires, but also a day filled with agates. 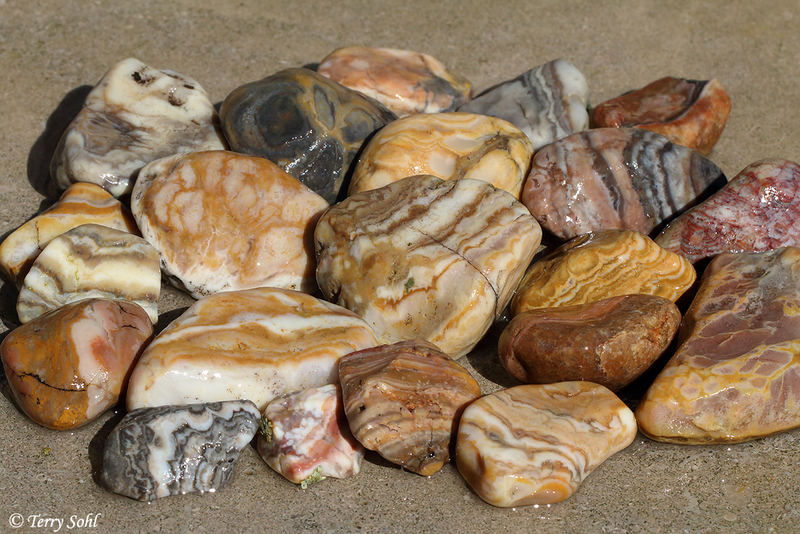 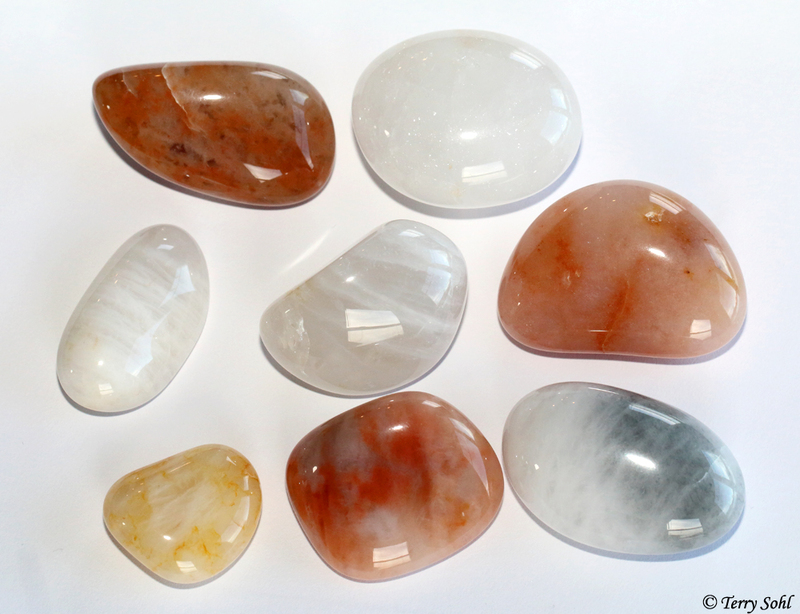 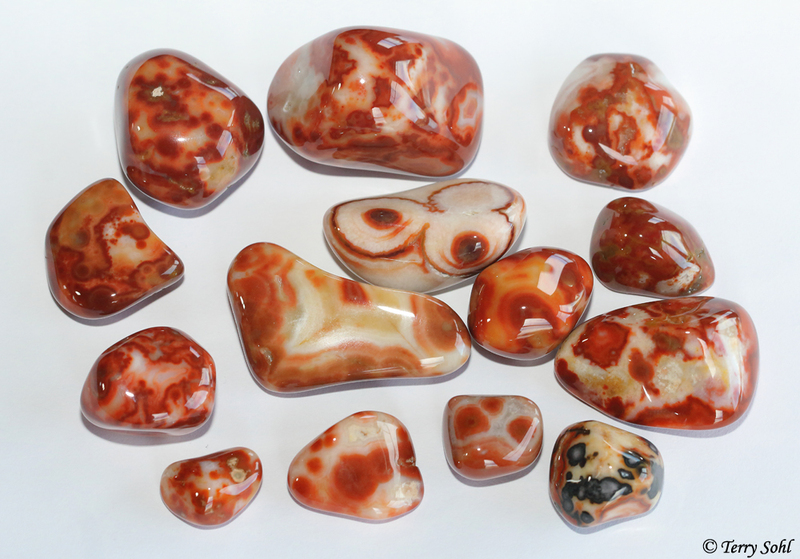 Here are a few agates from the day. 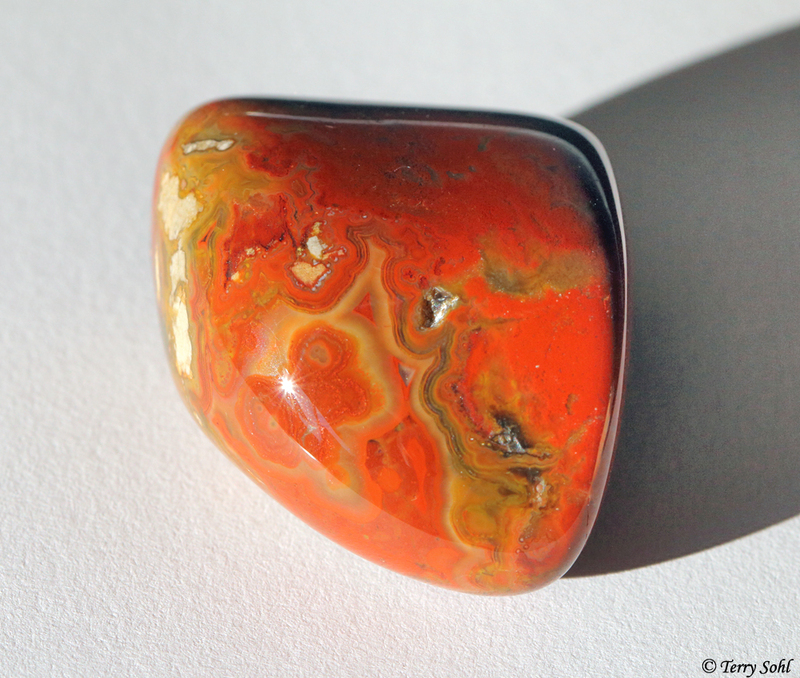 Also the latest batch that’s gone through my polishing. 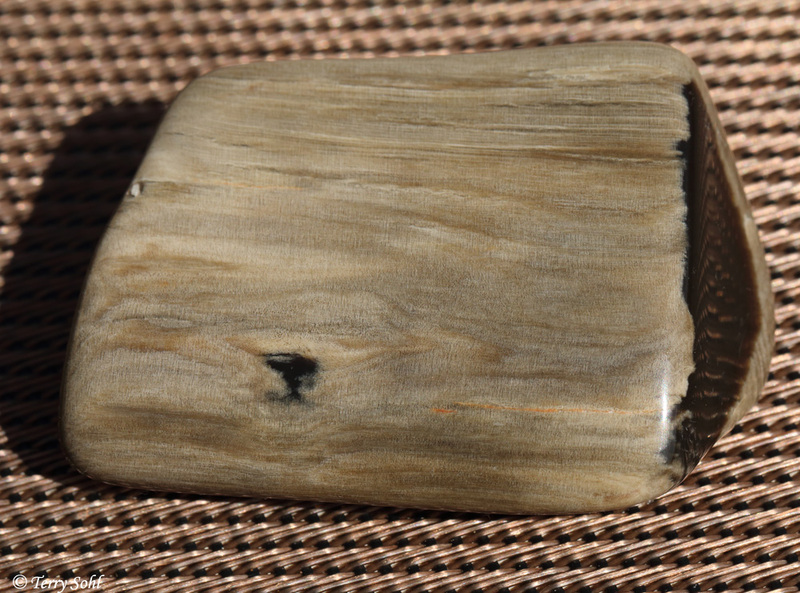 I’ve pretty much got it down now, and can get a real deep shine, but it’s a 2-month process from start to finish! 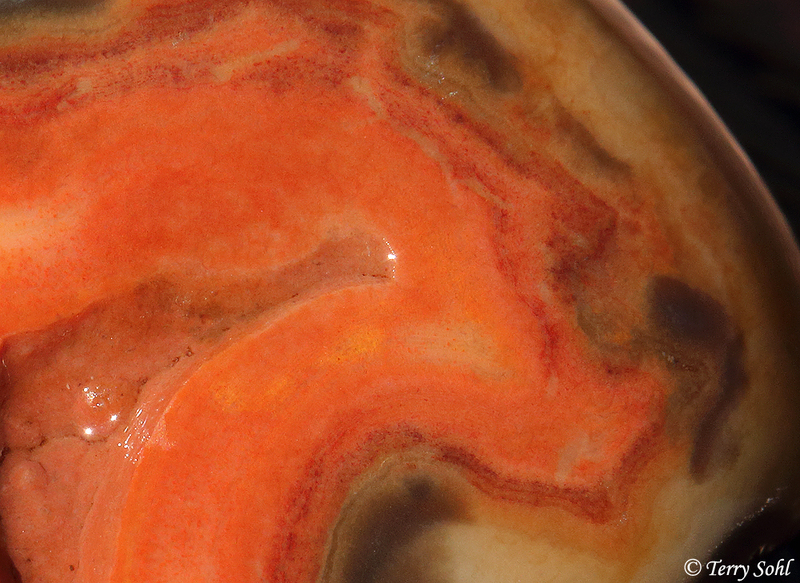 Always good to finish a batch and see what you get for all your hard work. 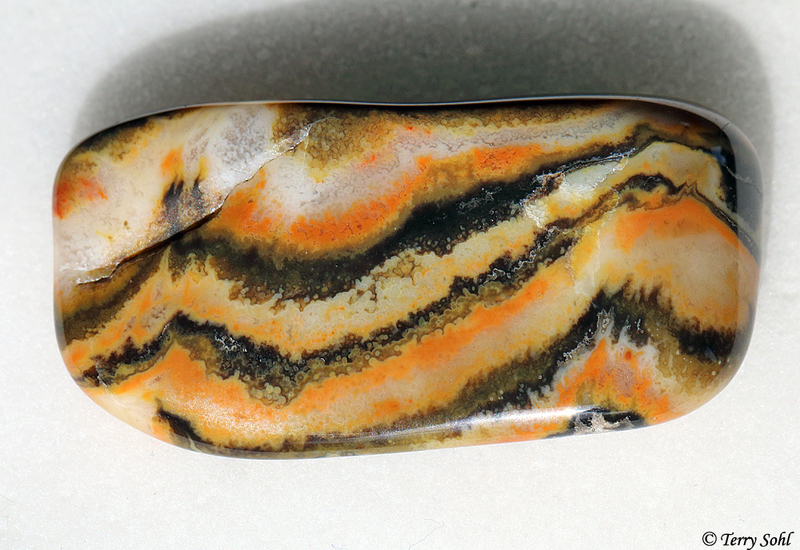 This is one I would have loved to have found before it had worn down. 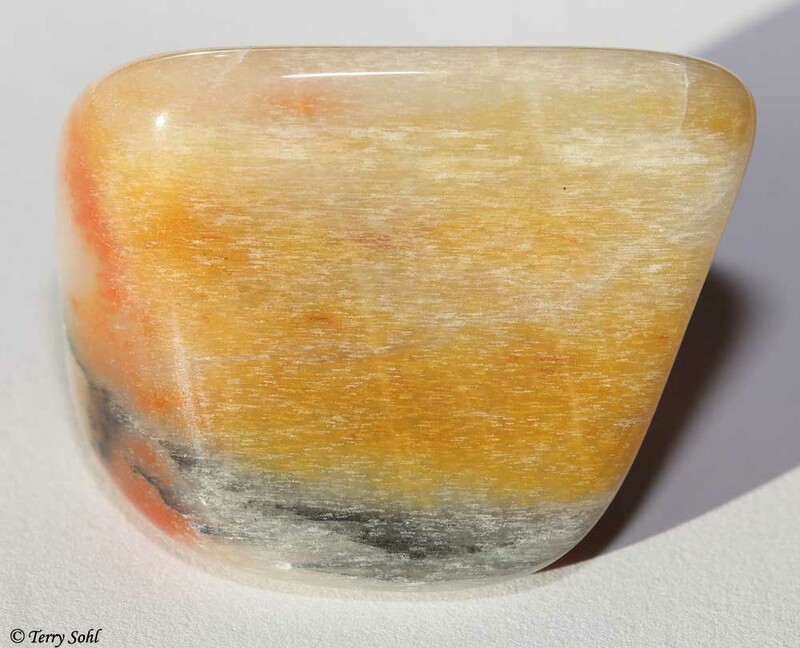 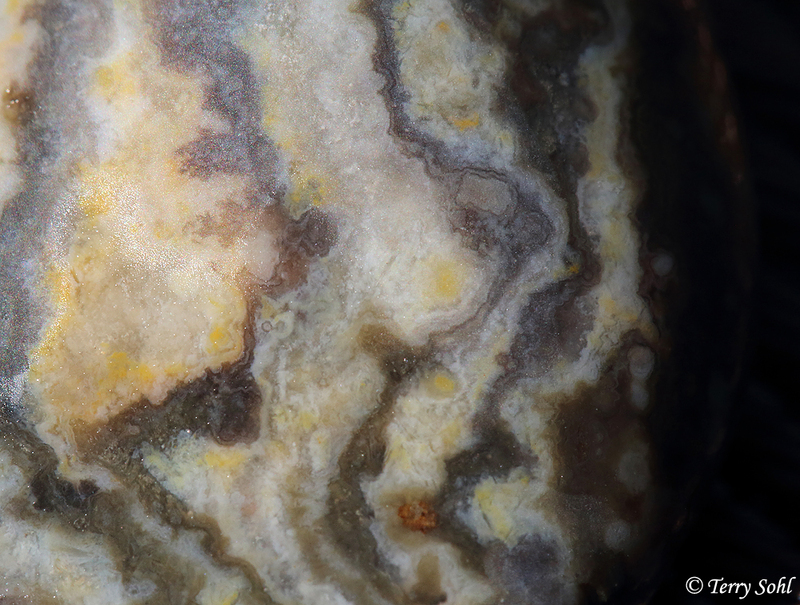 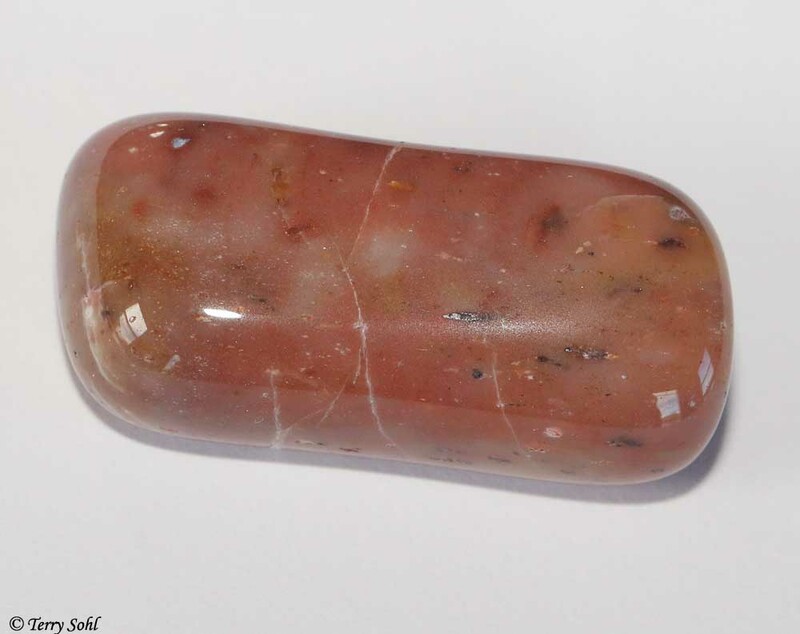 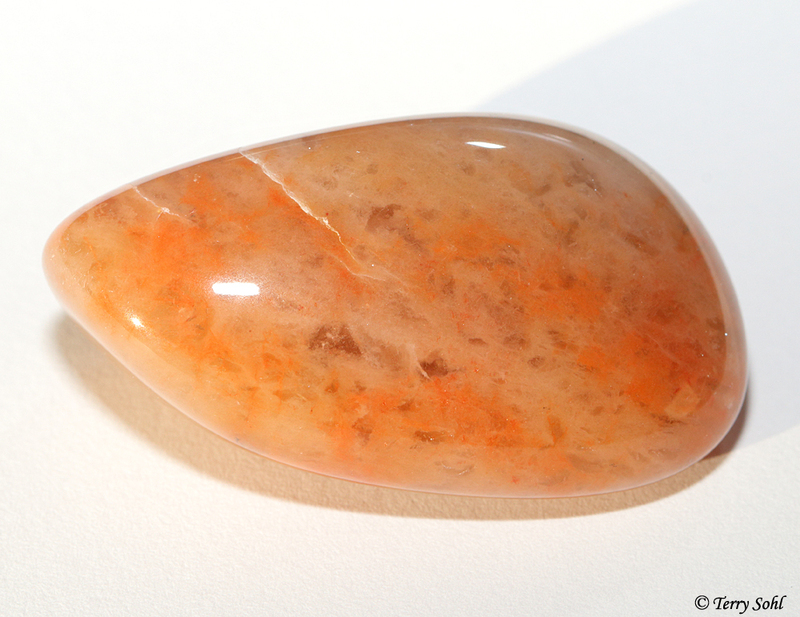 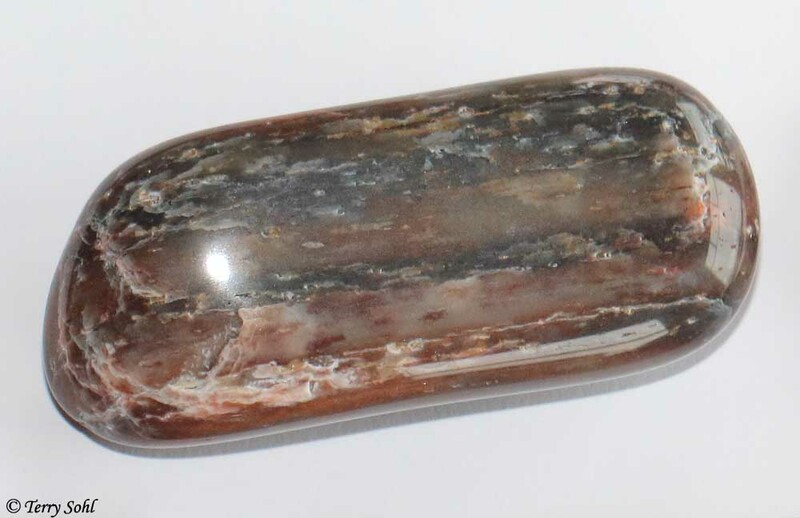 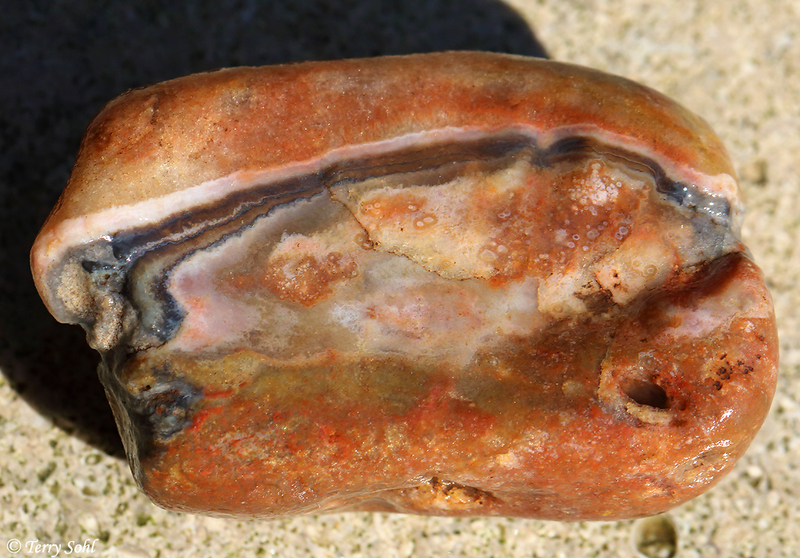 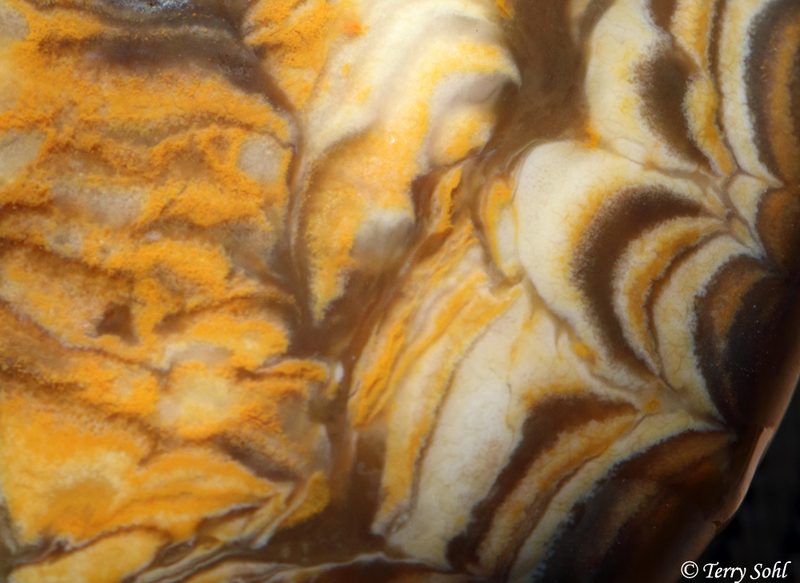 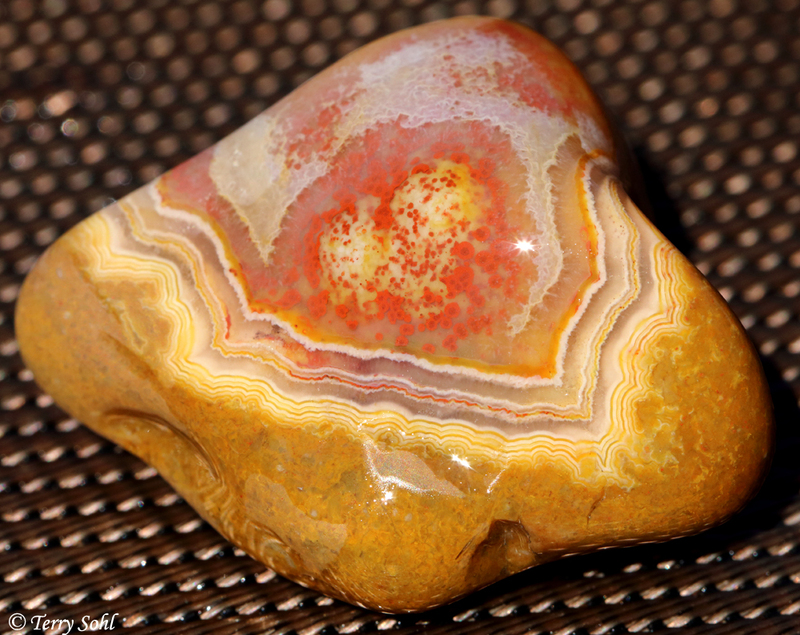 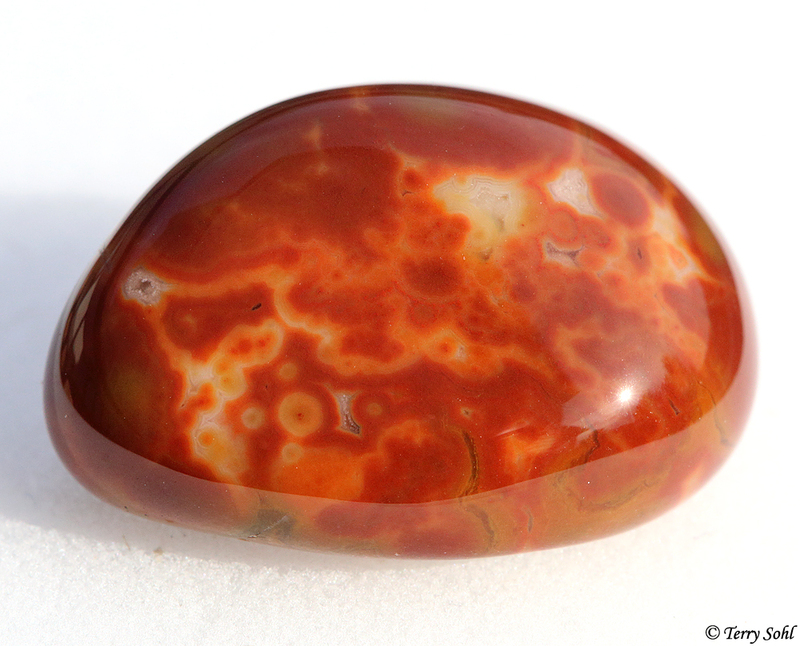 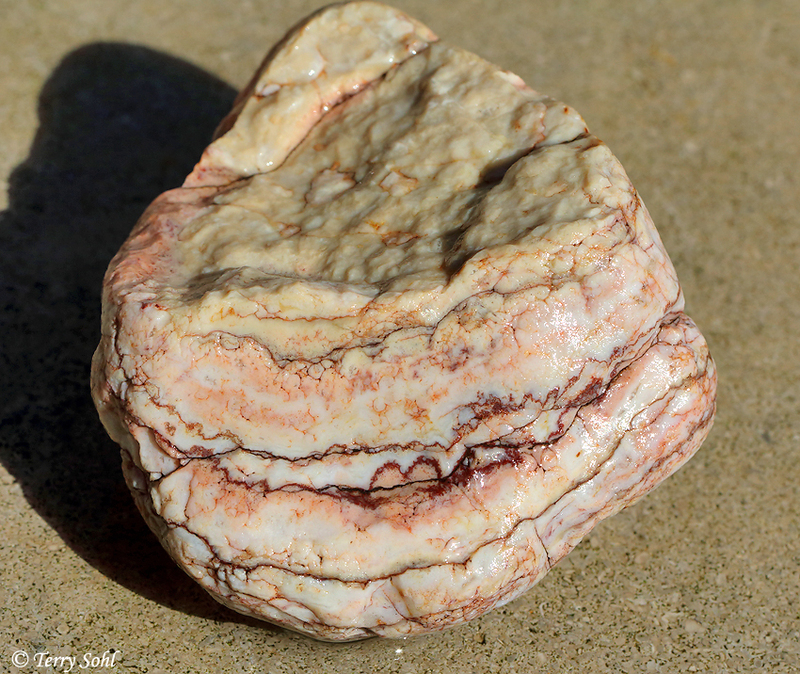 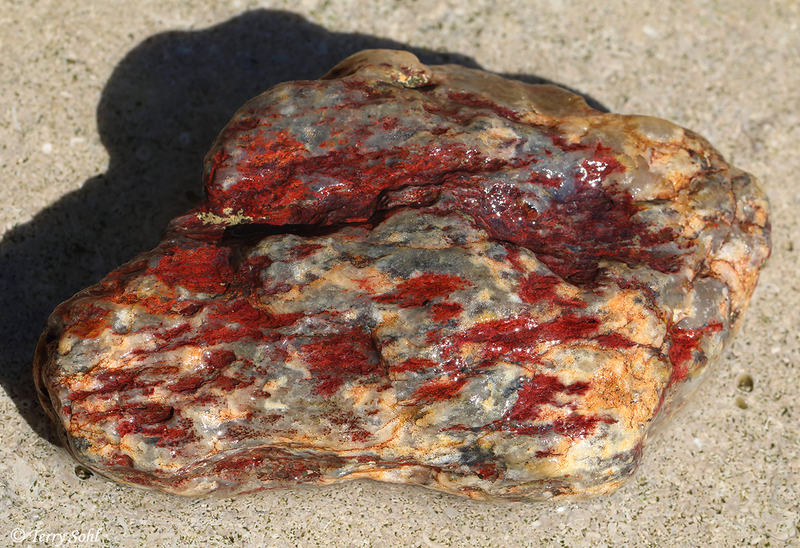 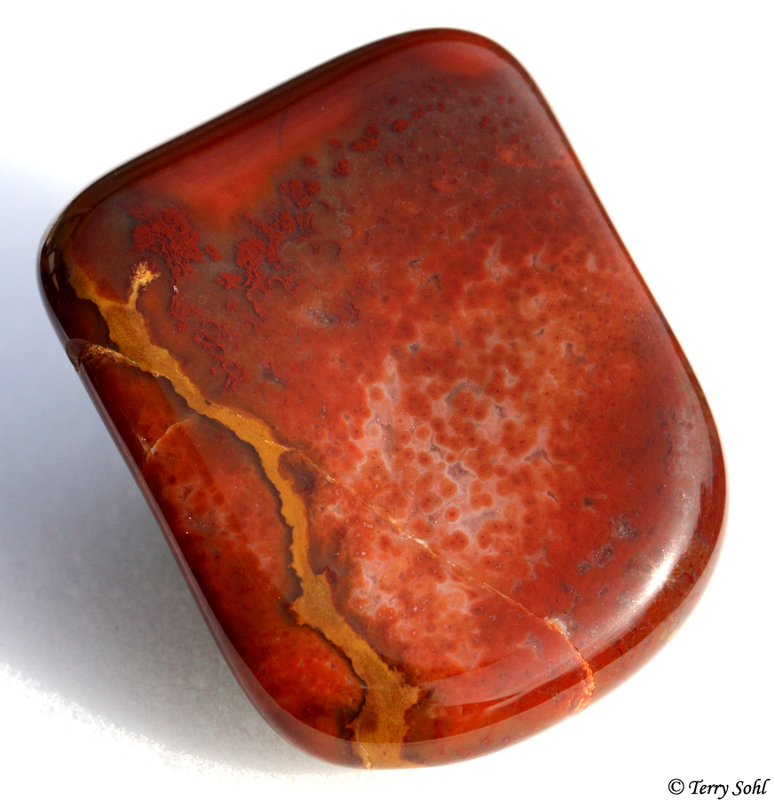 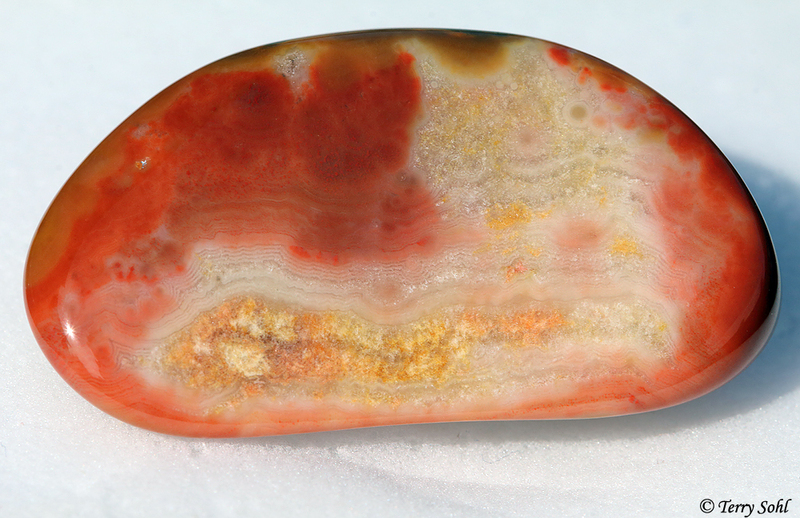 I do think this is a legitimate Fairburn agate, but some of the bands are worn away in places. 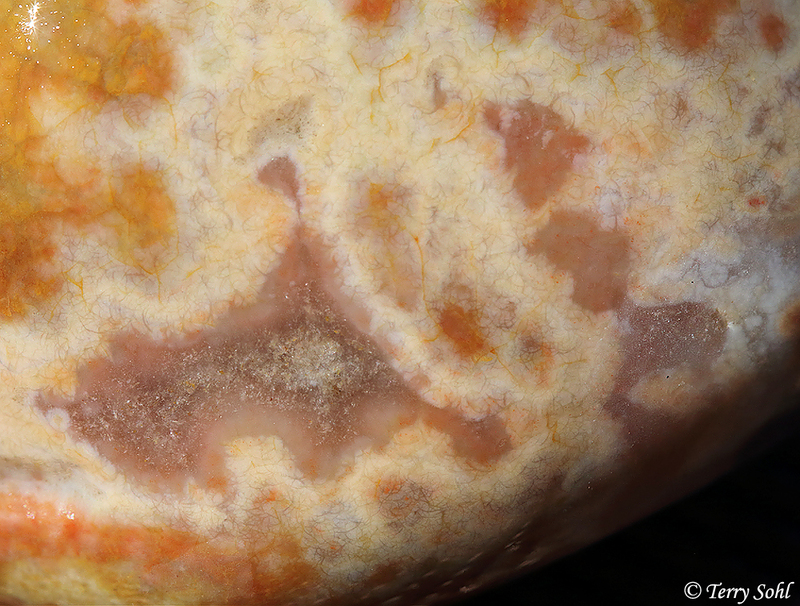 In others, you can really see the fine detail. 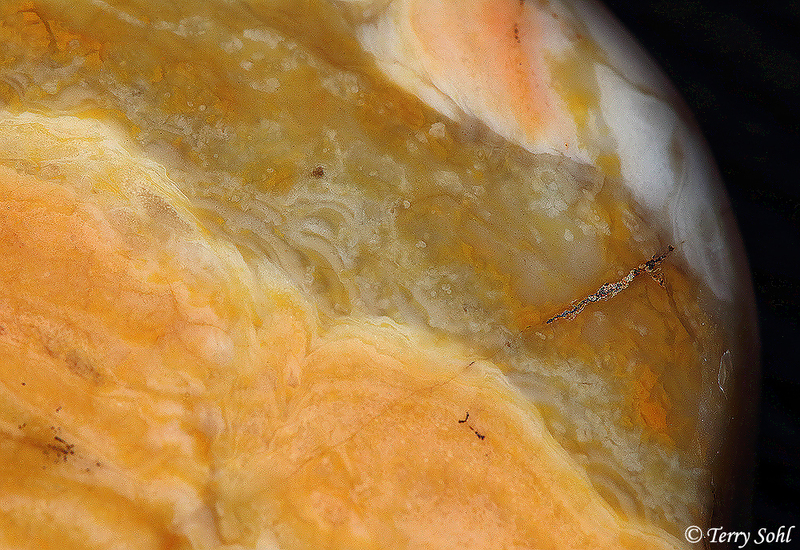 The flip side of the same Fairburn. 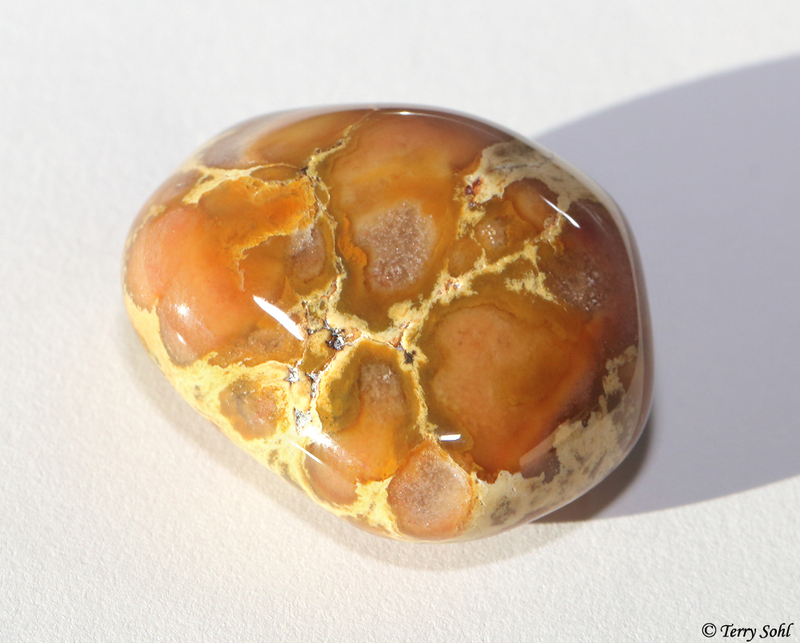 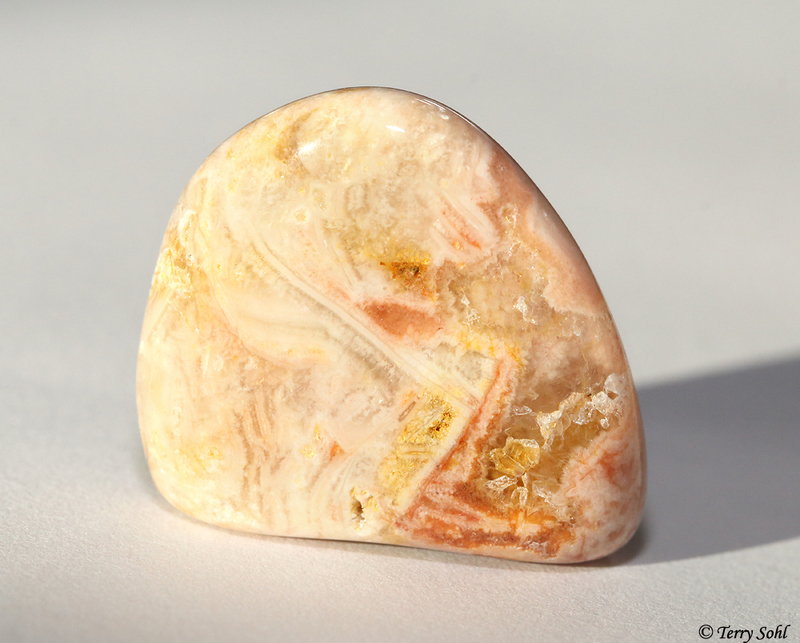 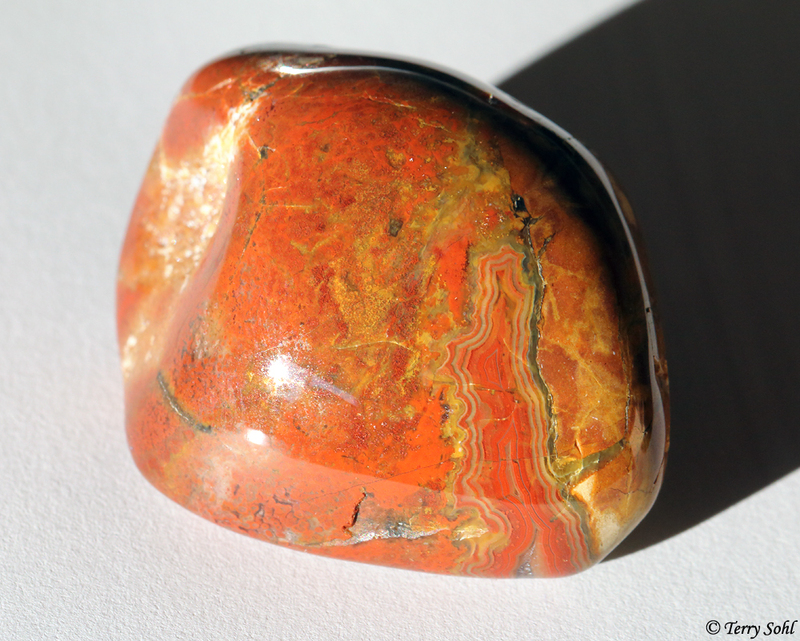 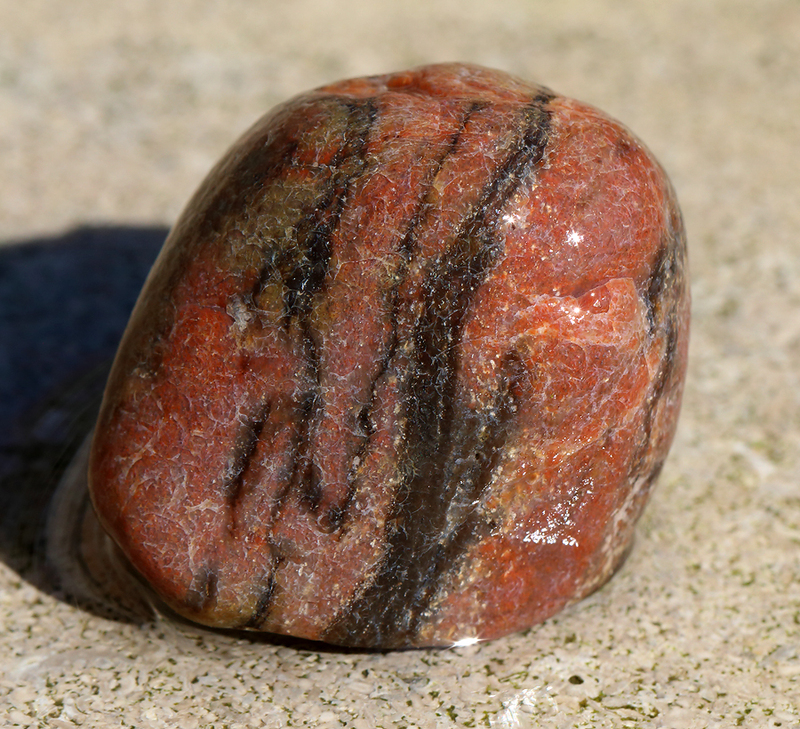 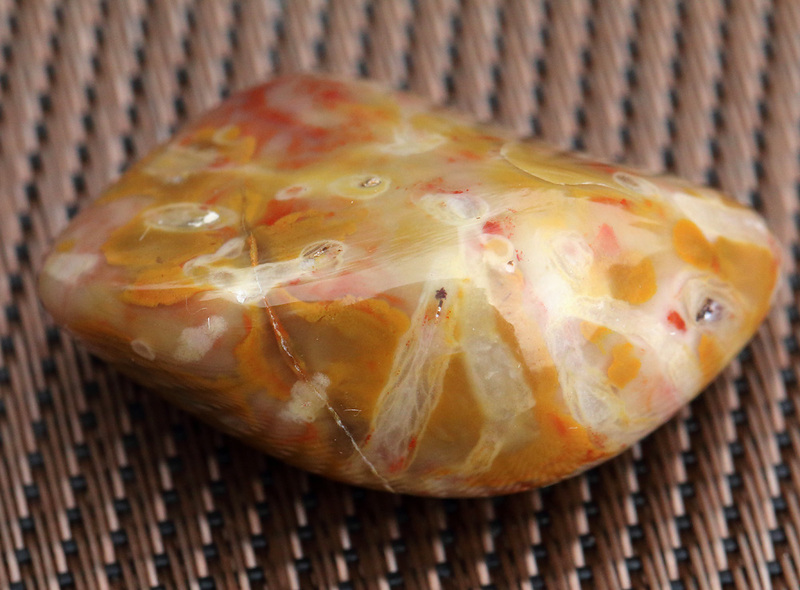 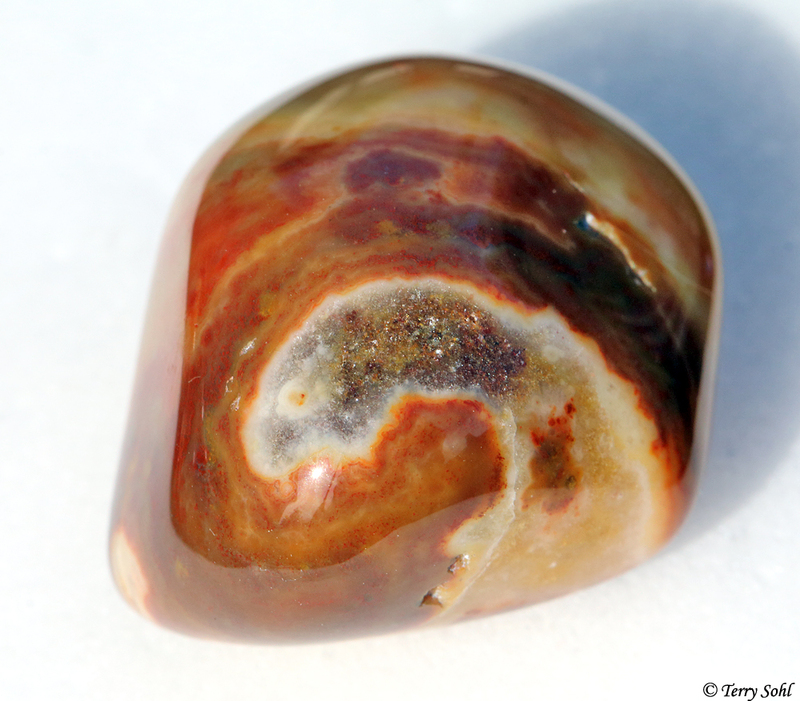 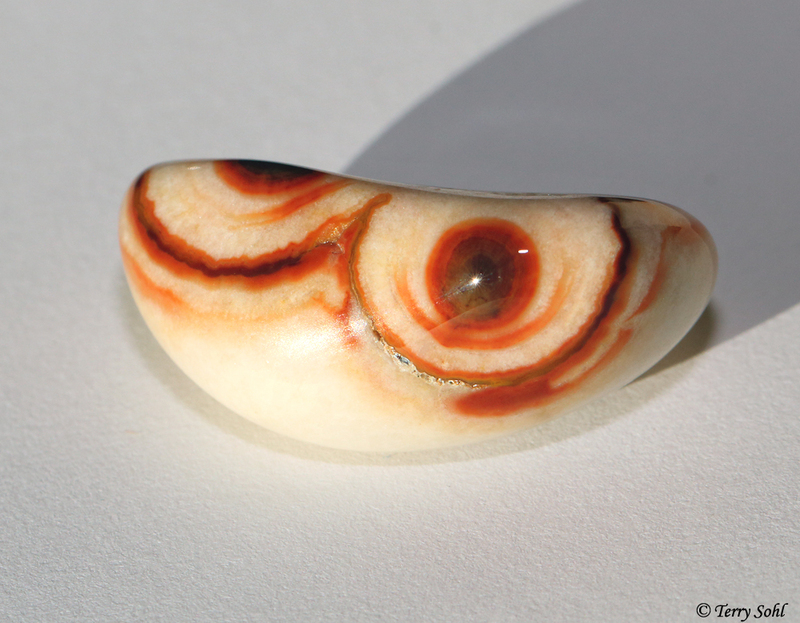 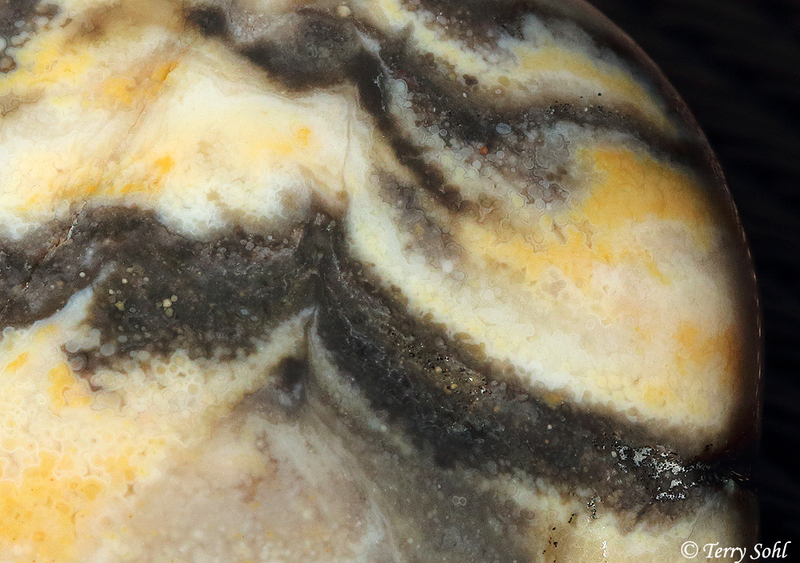 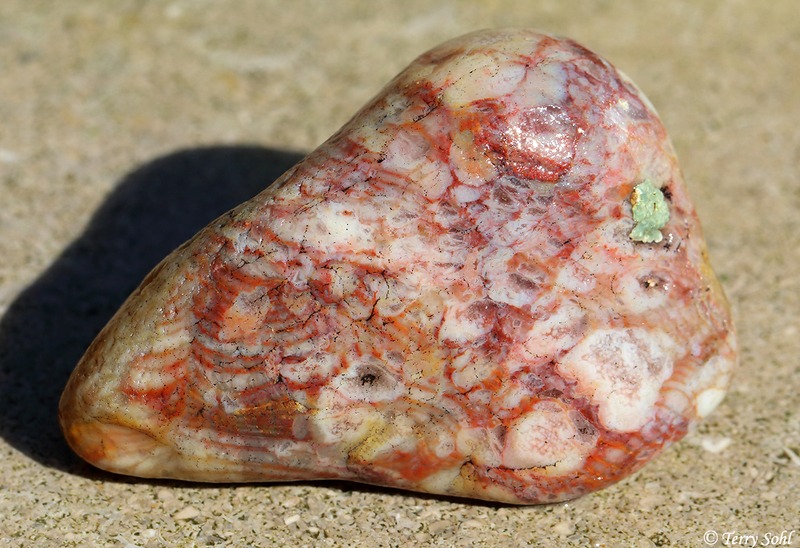 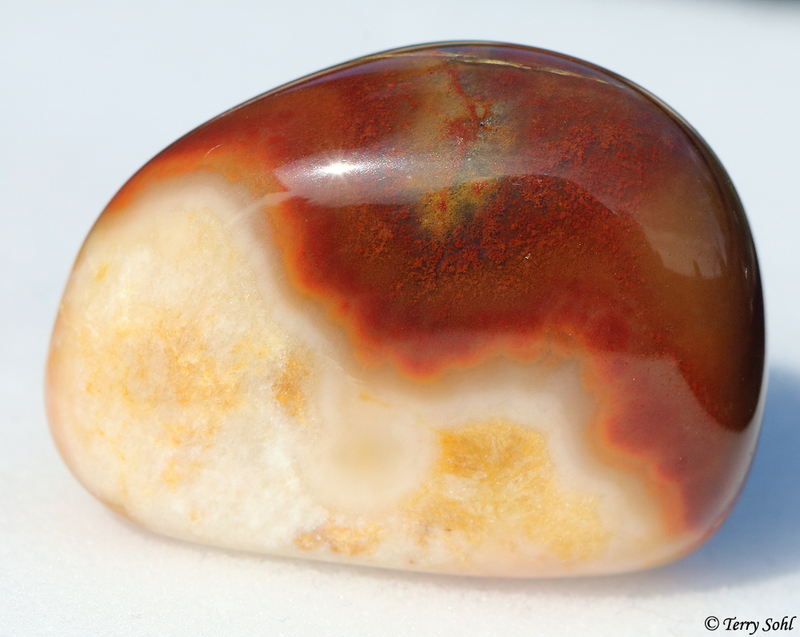 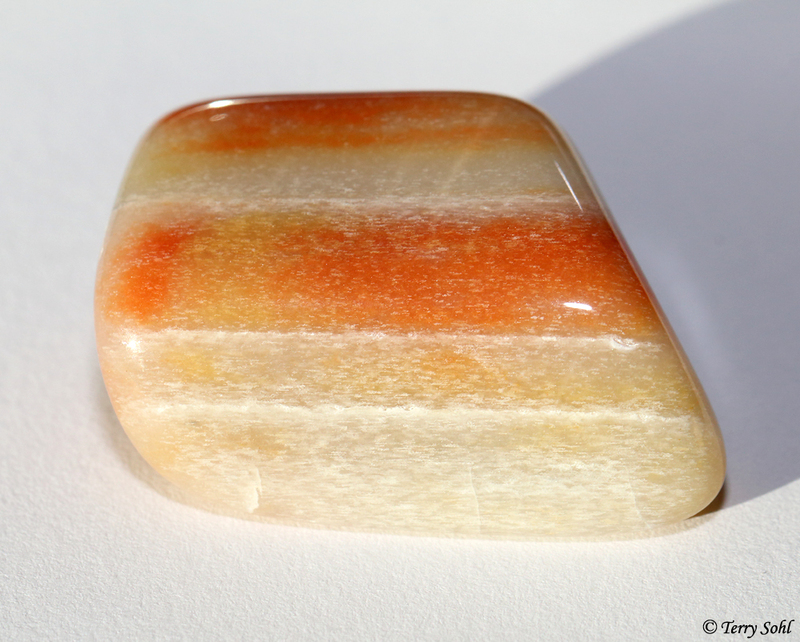 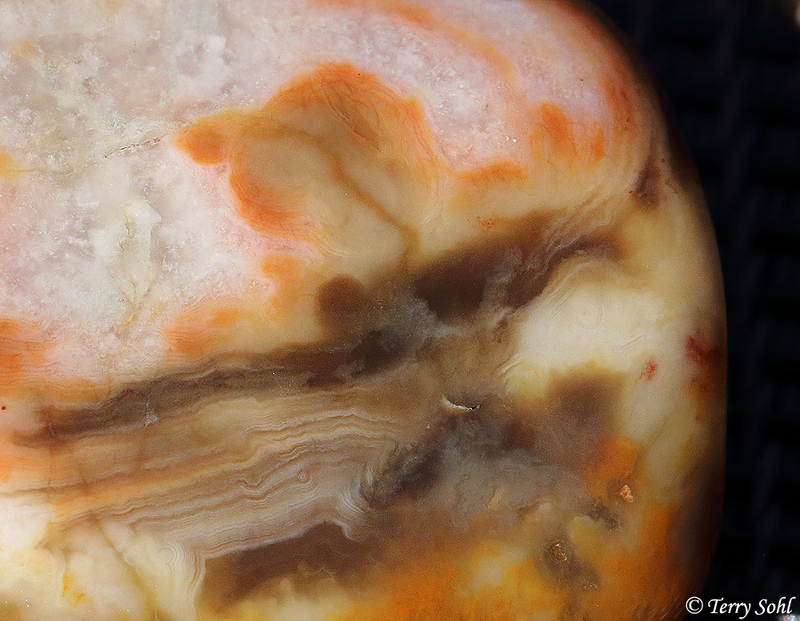 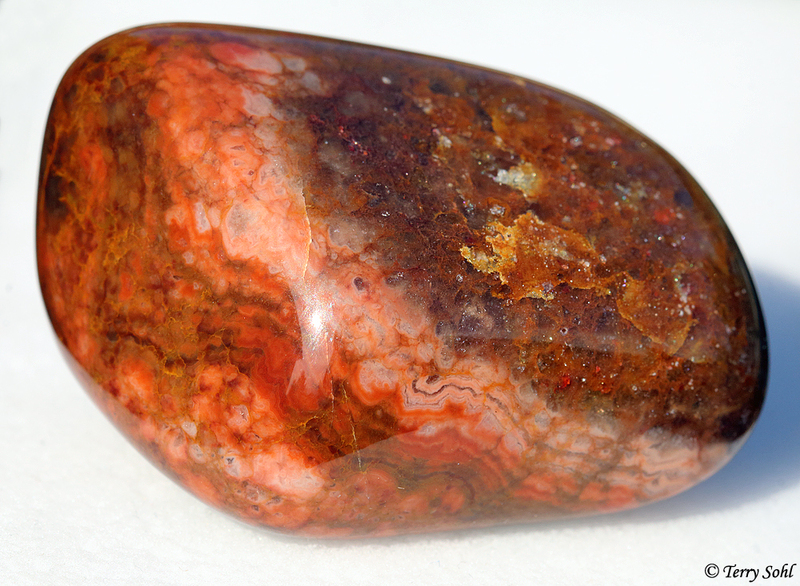 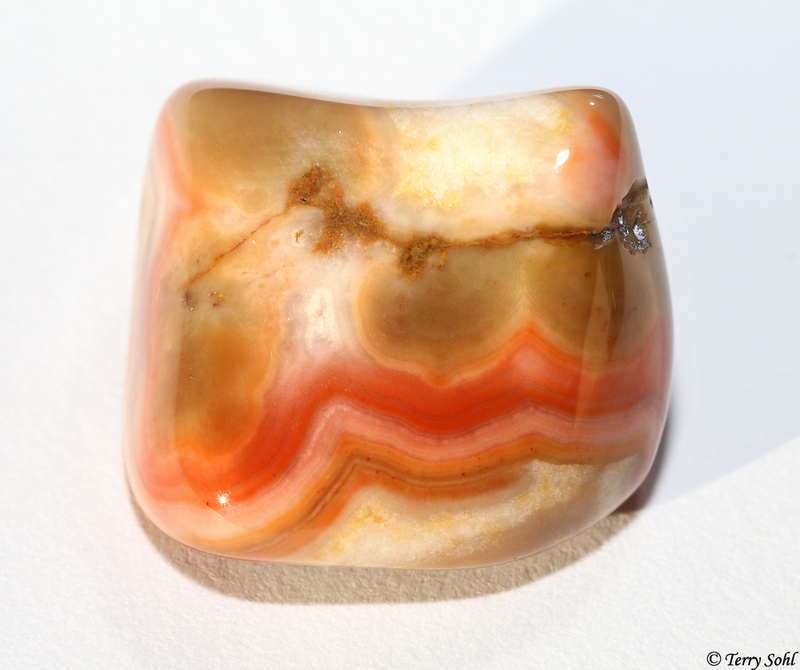 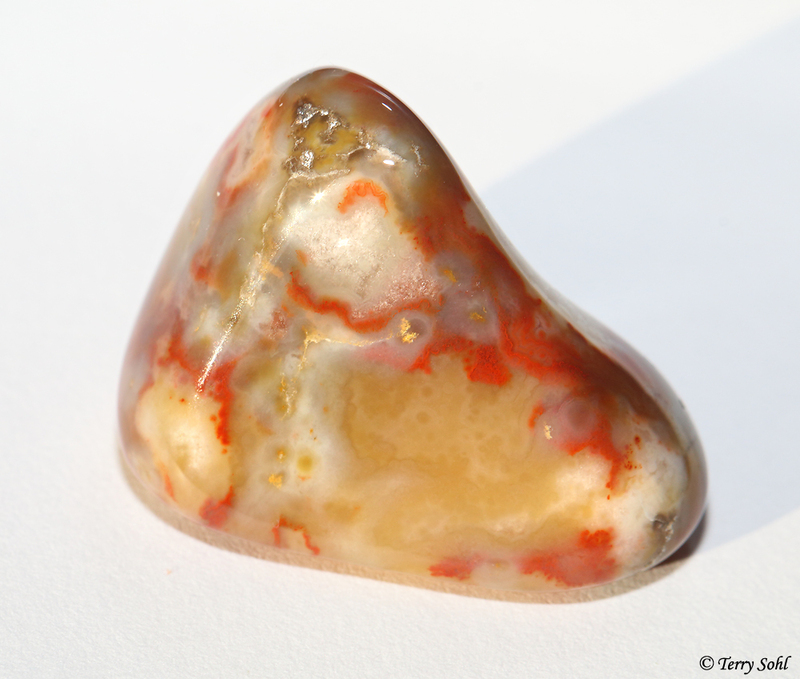 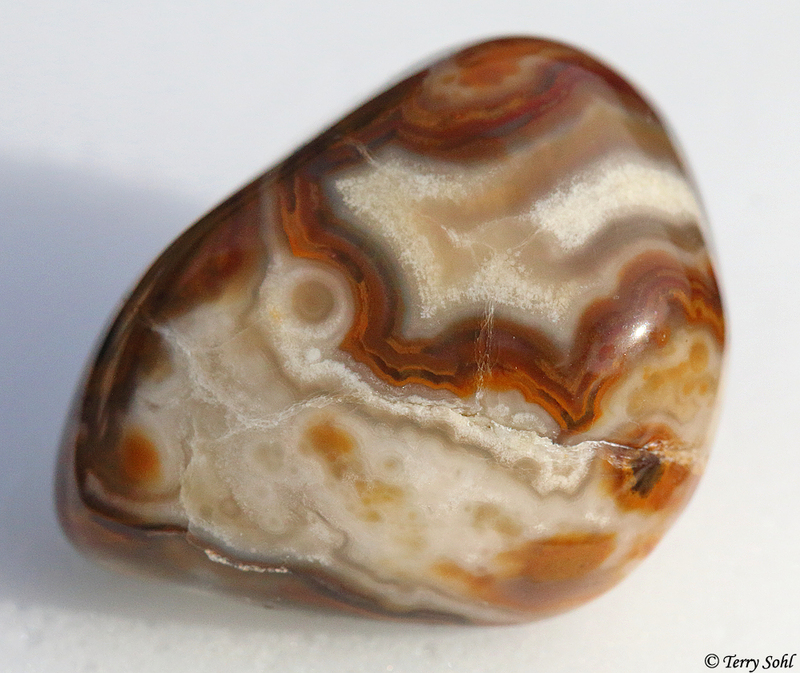 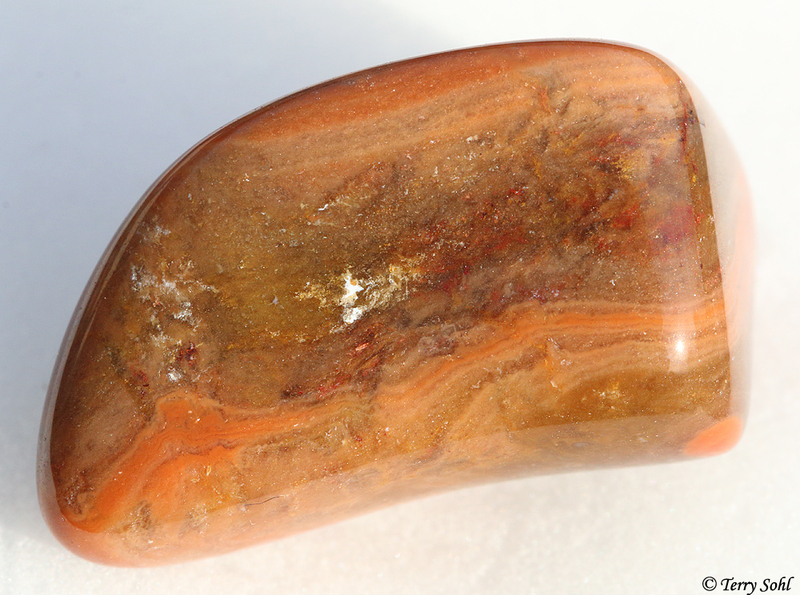 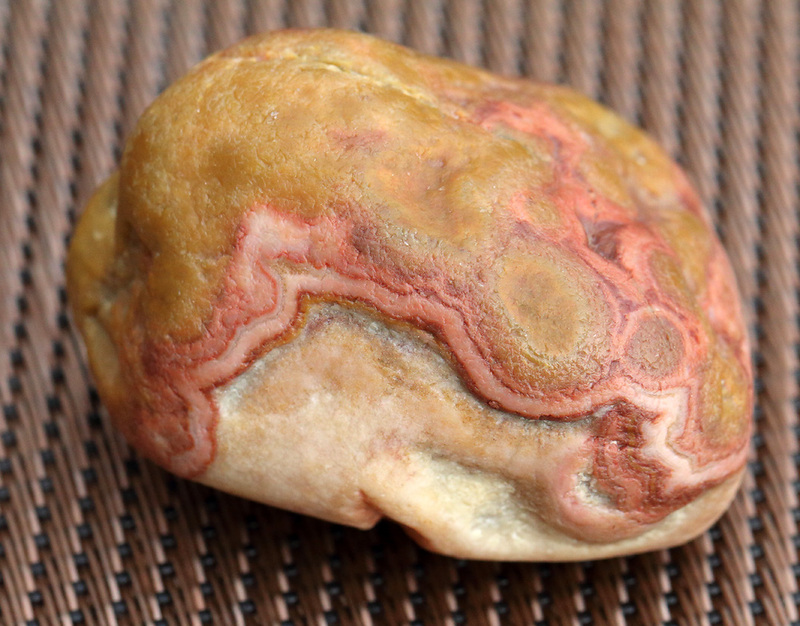 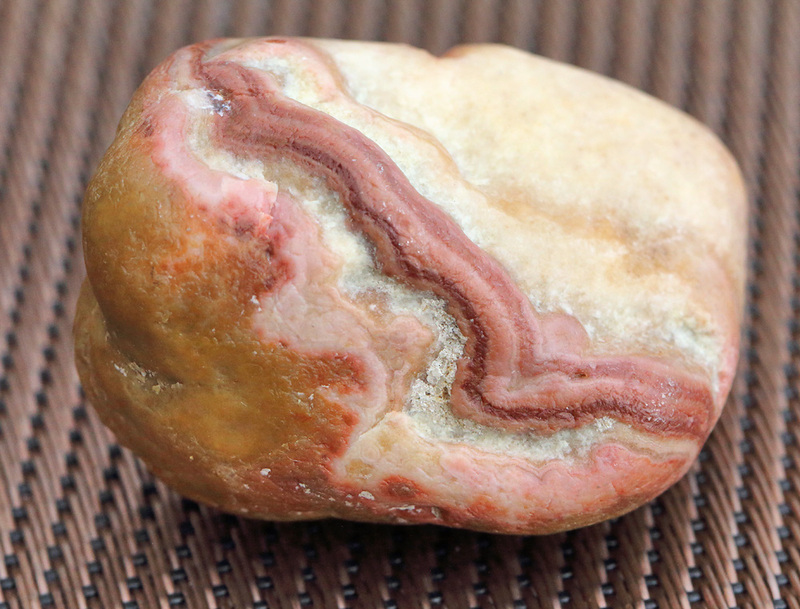 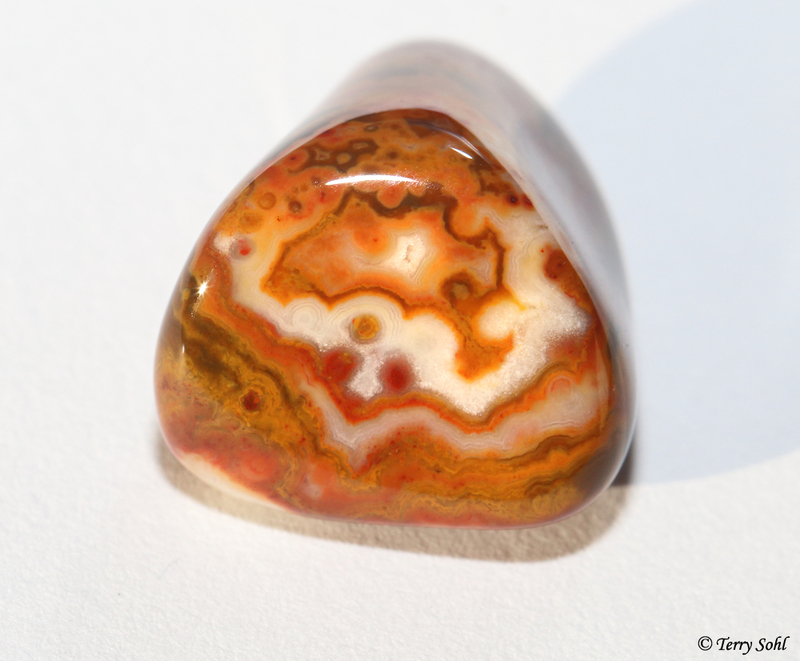 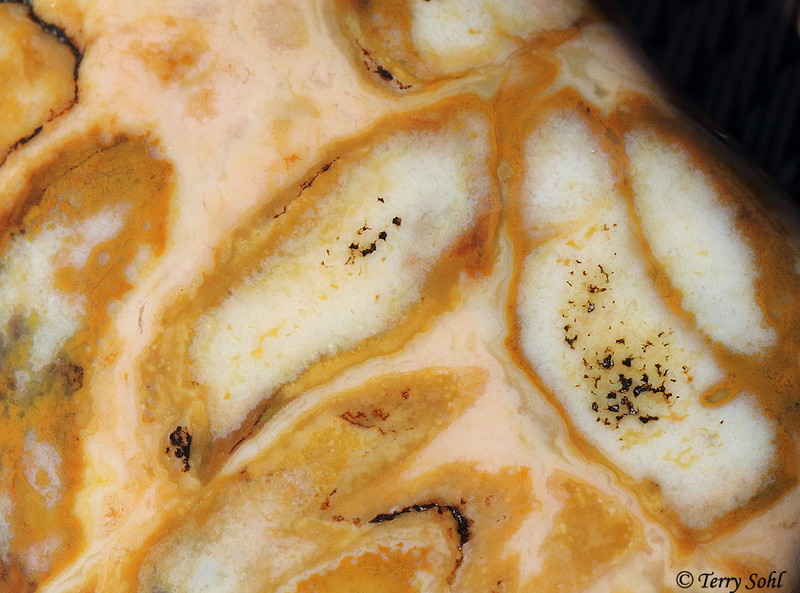 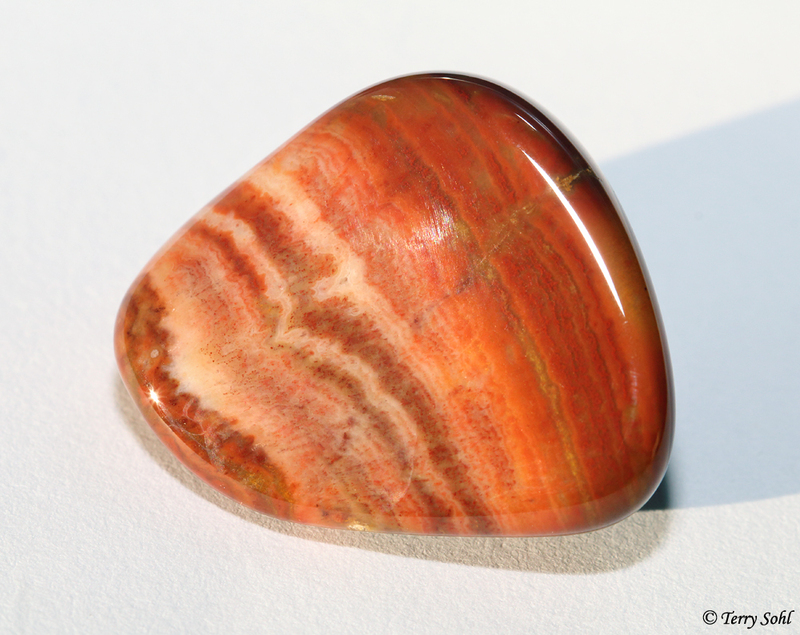 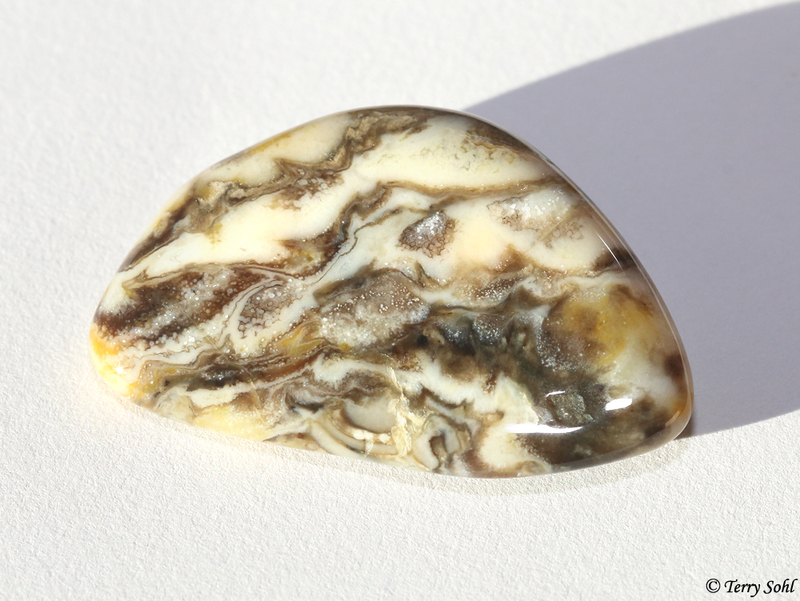 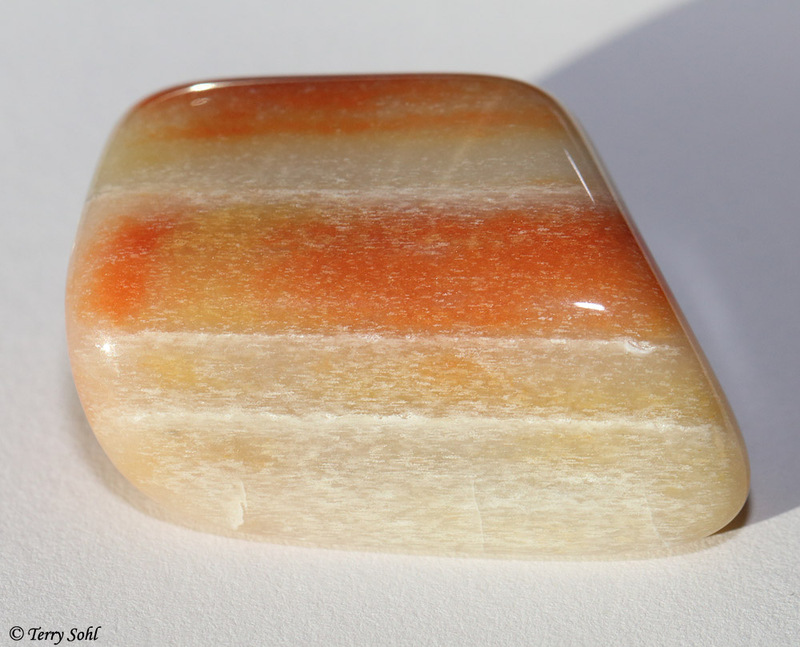 I think I’m going to call this one the “Bacon” agate, given the banding on this side. 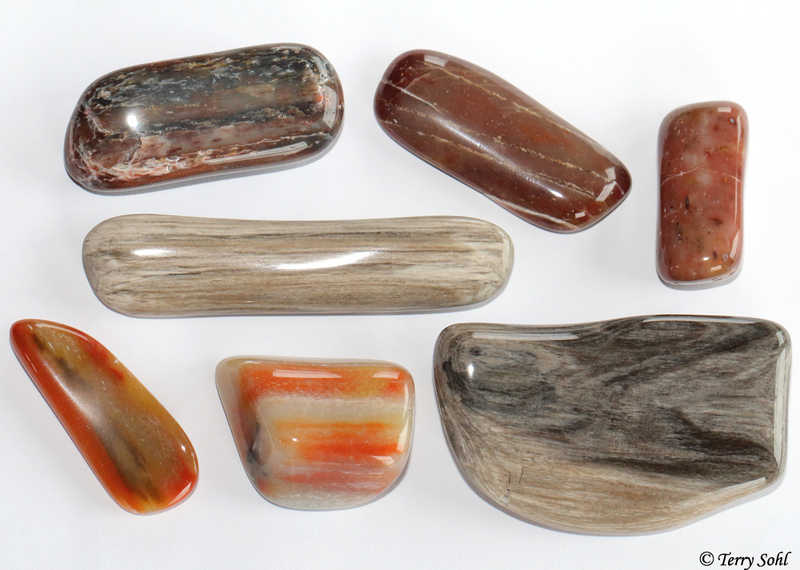 The latest batch to finish in my small tumble polisher. 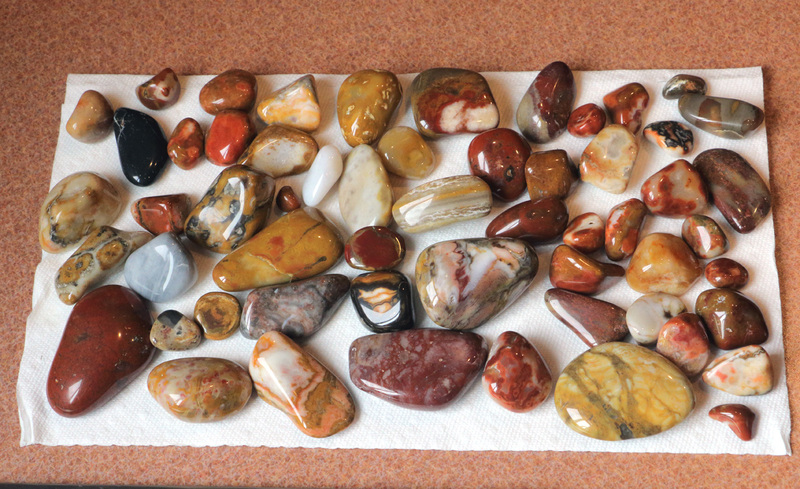 I’m having much better luck now in getting a great shine, simply by 1) taking twice as much time, meaning 2-full weeks in each of the 4 polishing stages, and 2) using distilled water instead of our very hard city water. 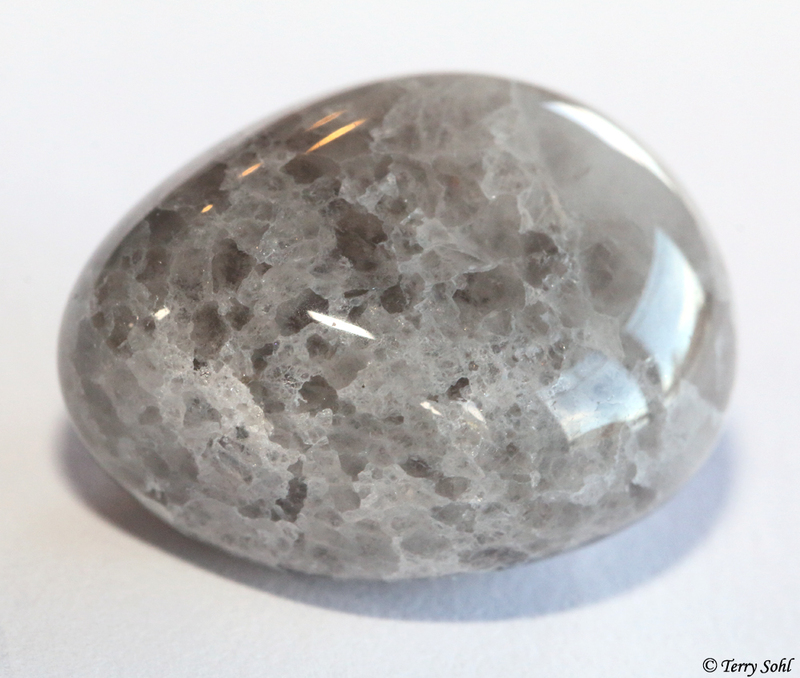 Just the choice of water has made a huge difference in the shine. 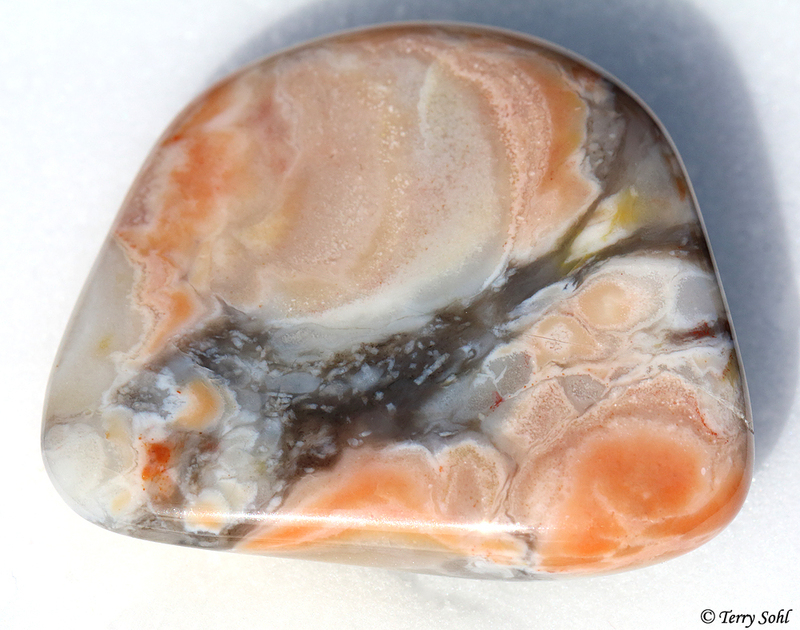 A piece I found earlier this summer that just made it through the polishing process. 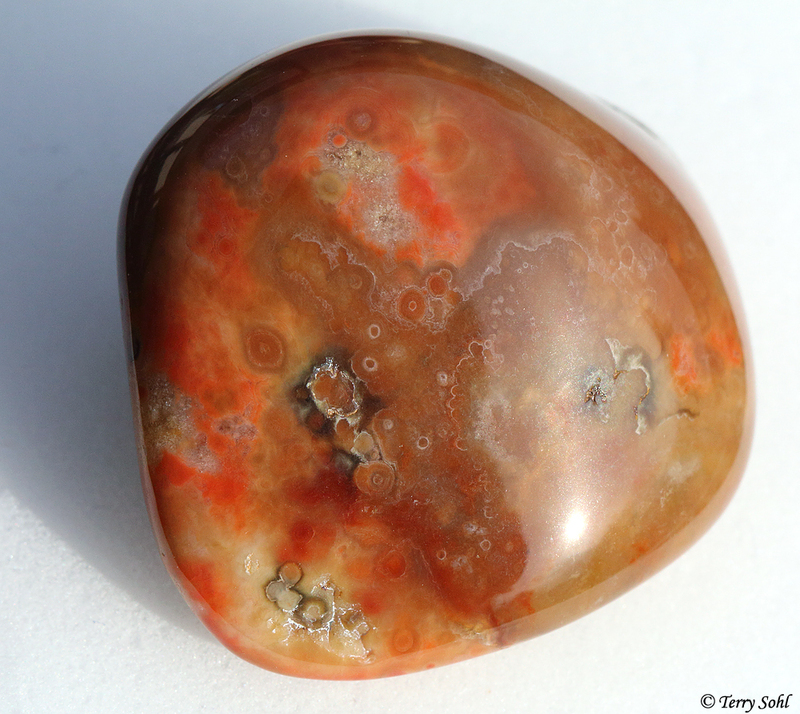 This is an agatized piece with bits of Syringopora coral fossils throughout. 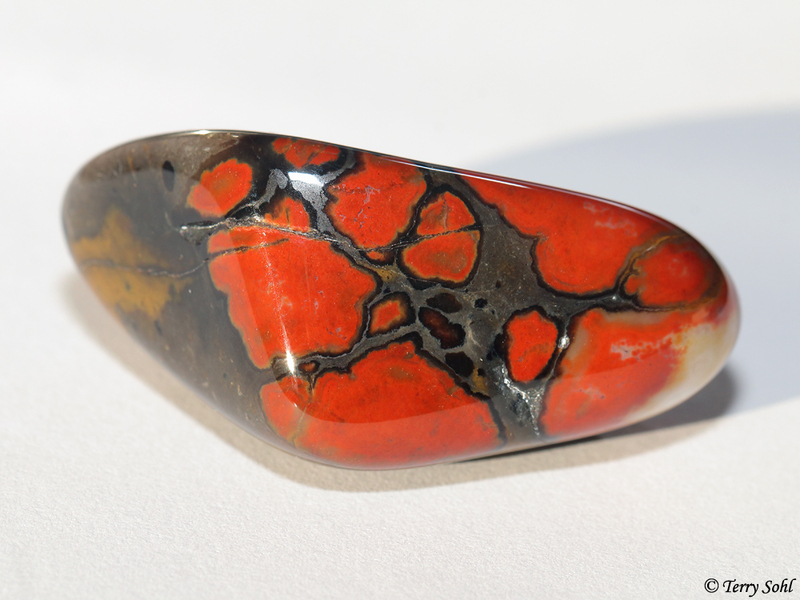 A unique and gorgeous little piece.